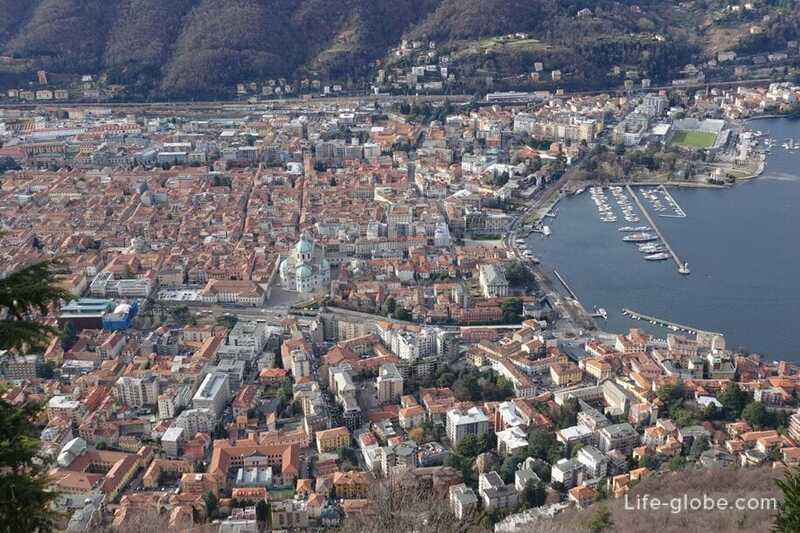 Como is a city and the administrative center of the homonymous province in the Lombardy region. 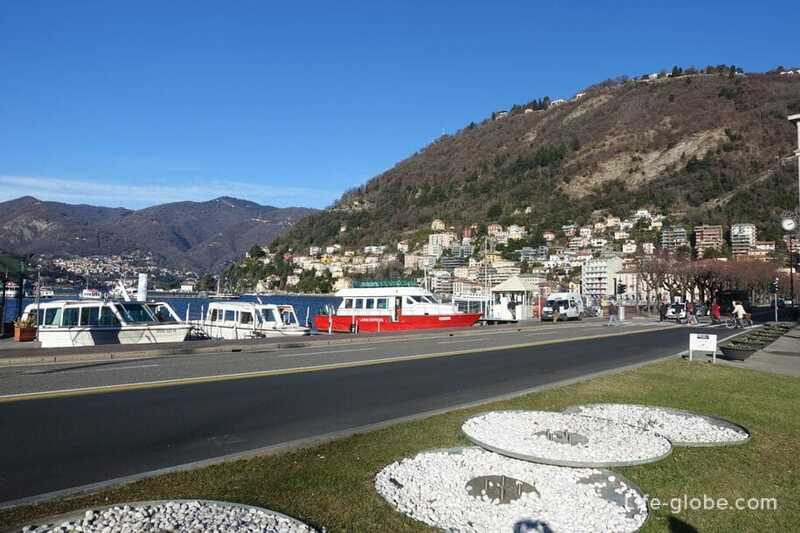 The city of Como is at the southwestern end of lake. 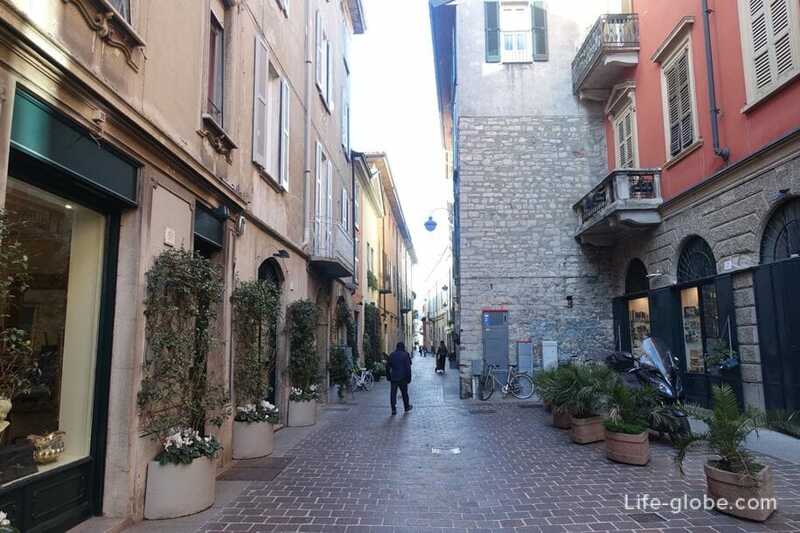 - thirdly, the city is so cozy that staying in Como, I feel like dissolving into history you capture inner harmony and peace, being provided by nature. 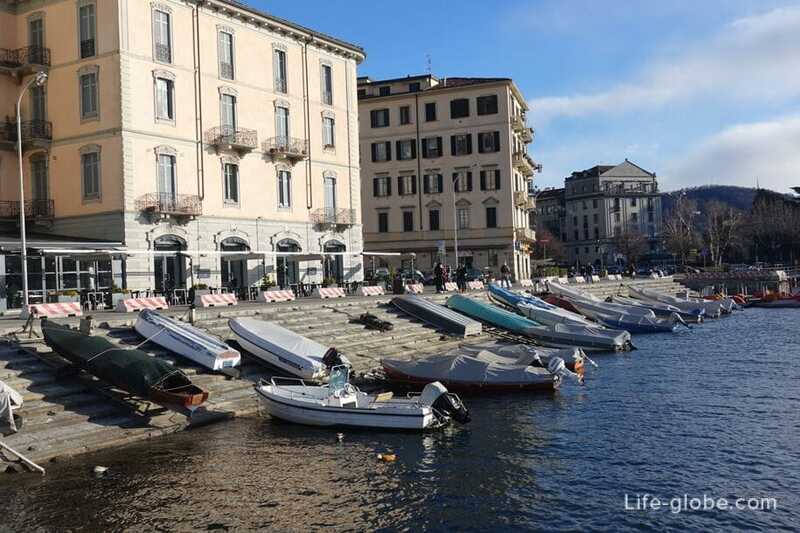 Yes, Como is not Rome or Venice, but after the hustle and bustle of Milan to Como rest the soul and body. 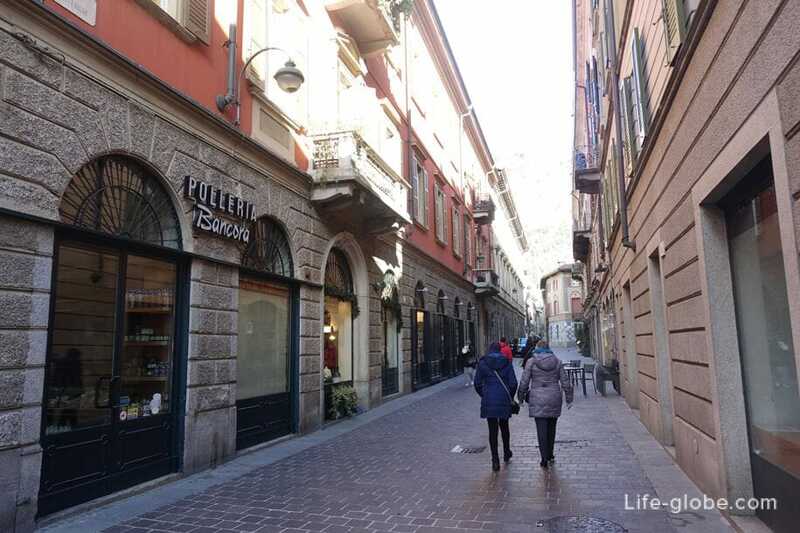 The main sights of Como are concentrated in the historic center, near lake and walking distance from each other, which also makes Como very pleasant place for walks. 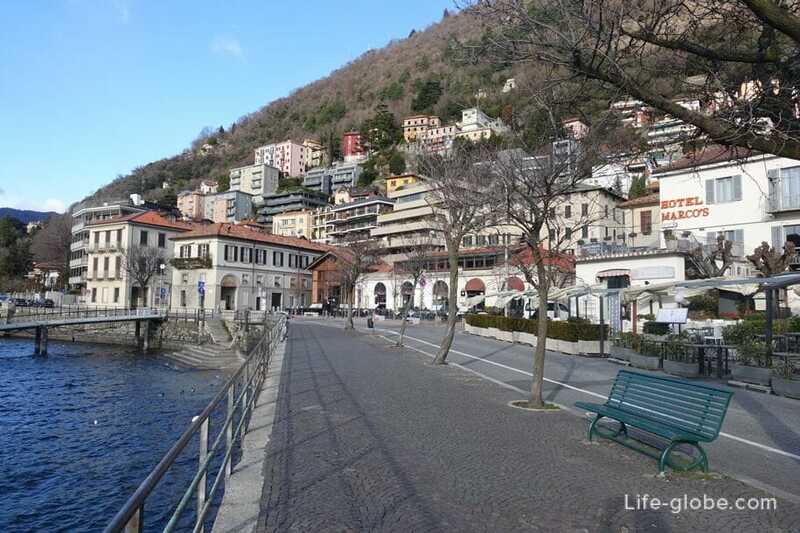 The promenade of Como - one of the main attractions and recreational spots in the city. 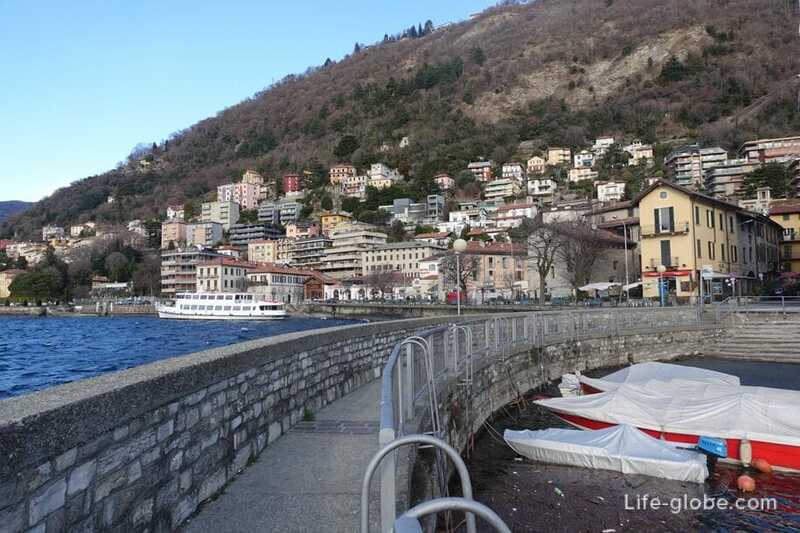 The promenade wraps around the southwestern tip of lake Como. 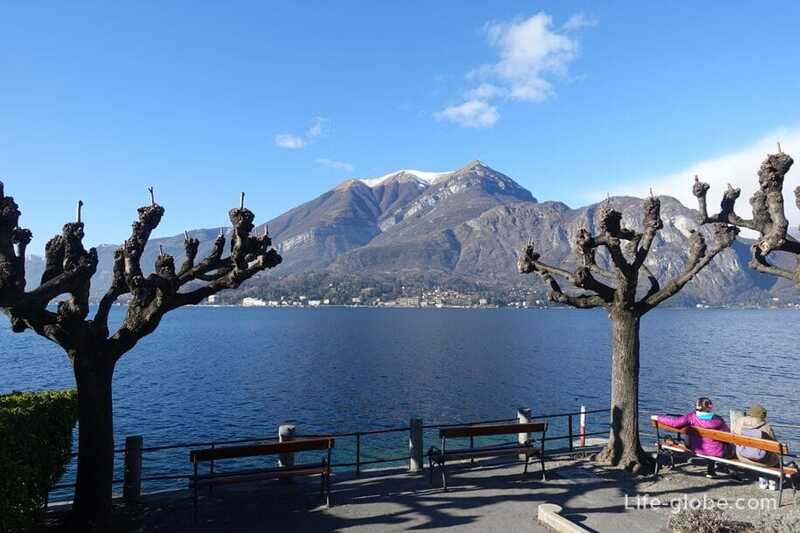 With one side of the promenade is the historic center, and on the other the lake, on which shores the towering mountains. 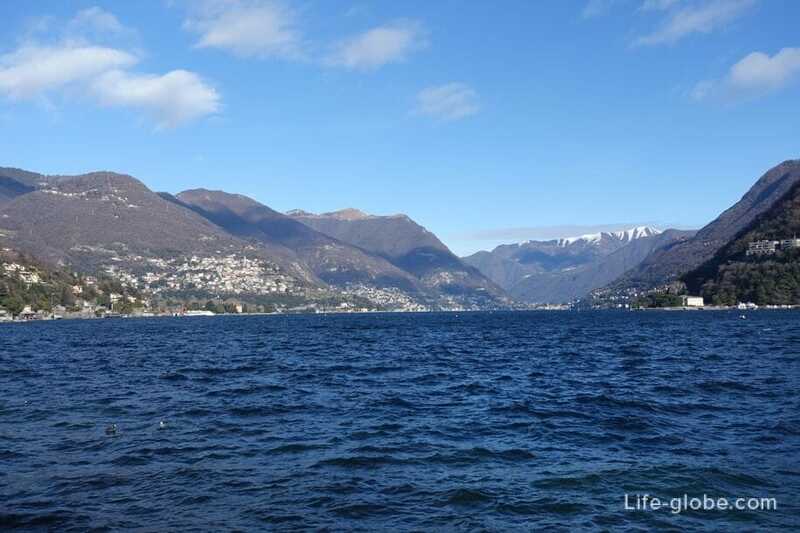 By the way, the lake Como is the third largest lake in Italy and one of the deepest in Europe, its depth is 410 meters. 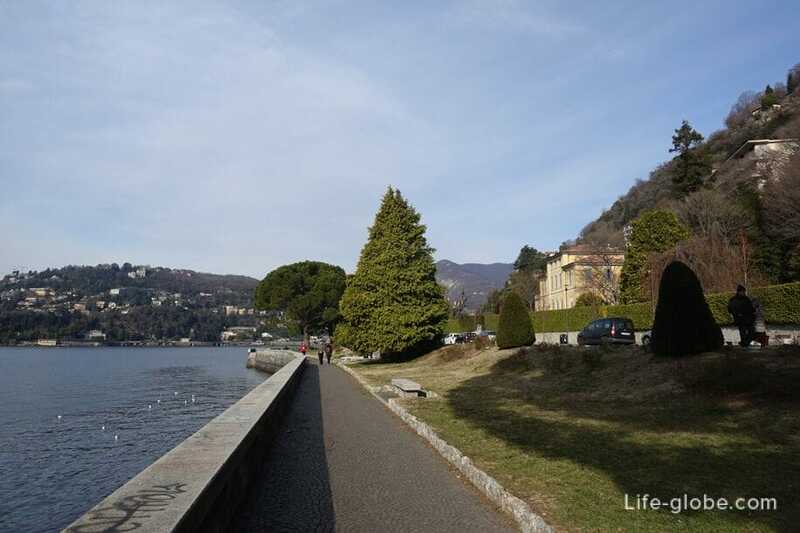 Along the lake runs the promenade. 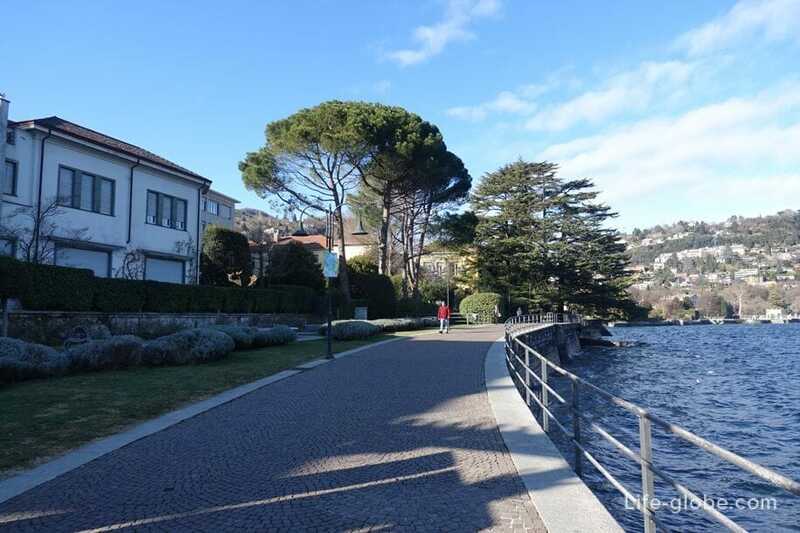 On the right side there are: a small Park area, landmark, Fontana Viale Geno/Amici di Como and Villa Geno. 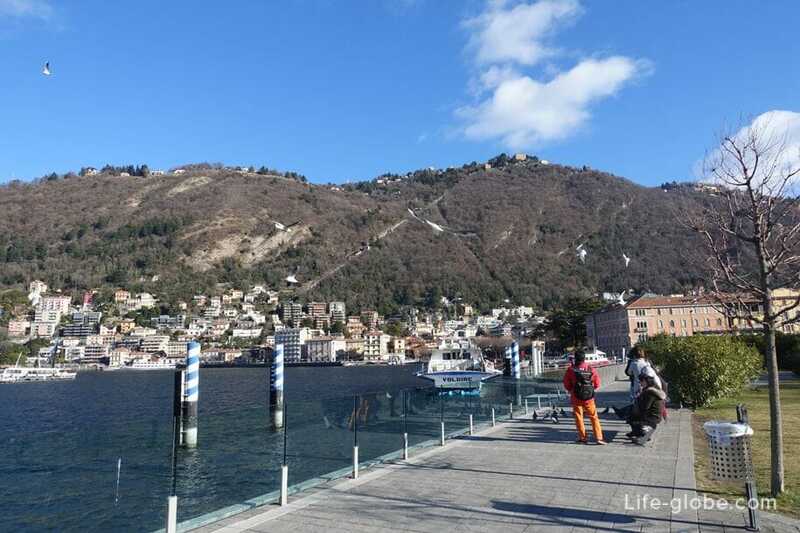 Also in the right part of the waterfront is a funicular Como-Brunate, connecting Como with the settlement Brunate. 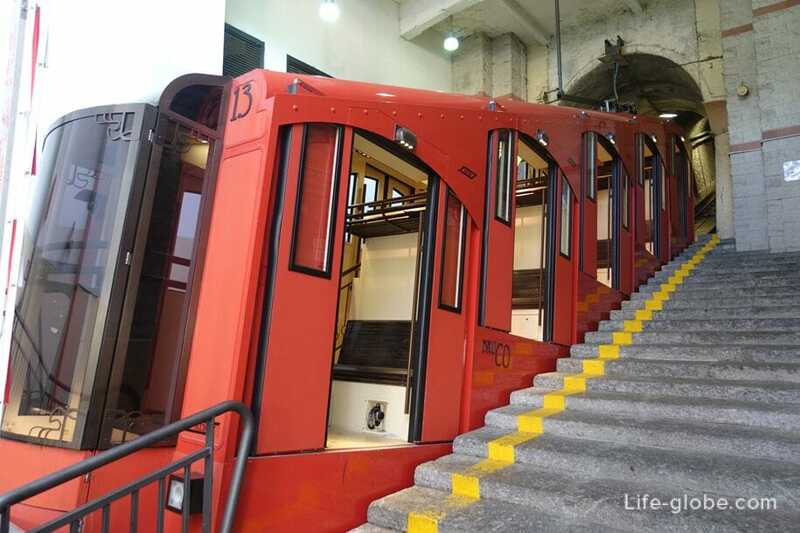 The funicular is one of the main attractions of the area. 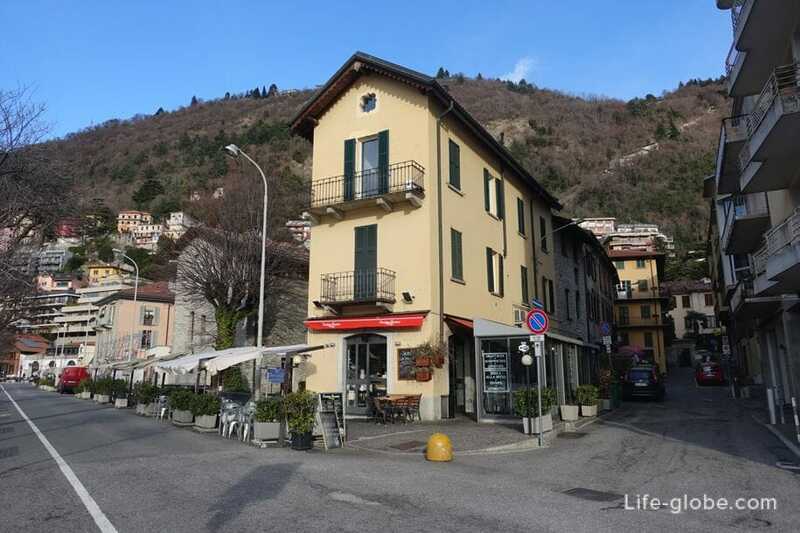 Brunate itself is an interesting town (municipality), but rather a small ancient village, full of mysteries and legends, but especially attract tourists with the incredible beauty of the panoramic views from many points Brunate to Como, lake Como and the Italian Alps. 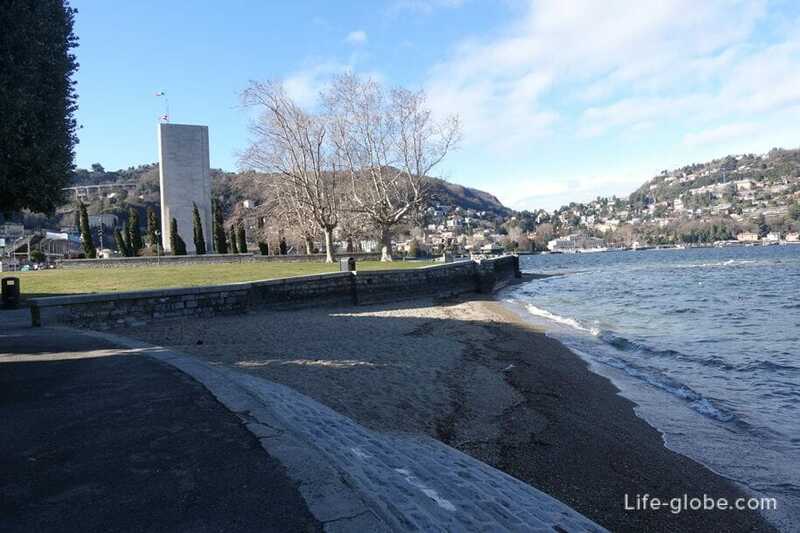 Walking area, "leaving the waters of the lake"
In the Central part of the promenade away from the ferry dock and ticket office. 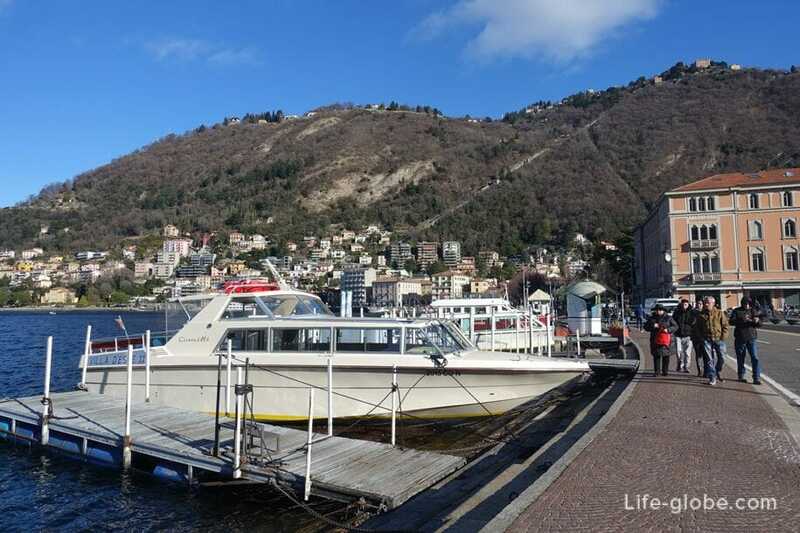 On the boat you can explore the lake or visit other towns of lake Como. 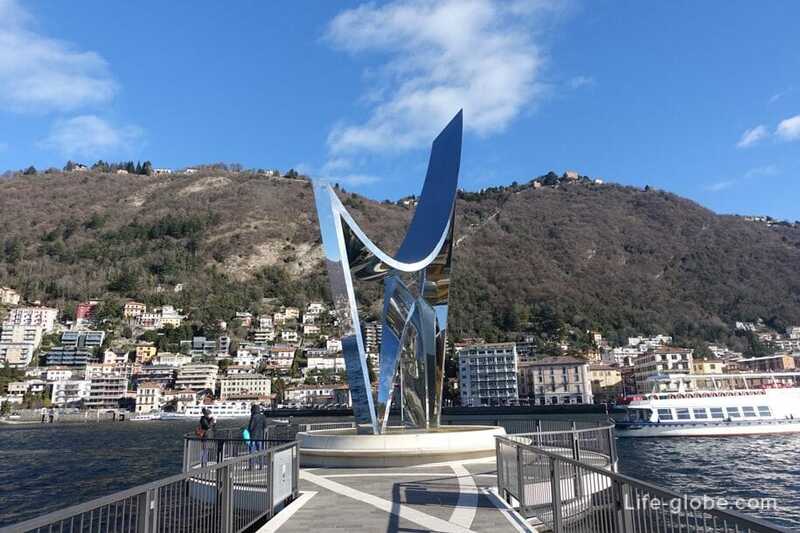 A pleasure pier, walking along which you can see a modern sculpture of "the Life Electric" was established in 2014-2015 and is dedicated to the native city - a famous physics scientist Alessandro Volta (1745-1827). 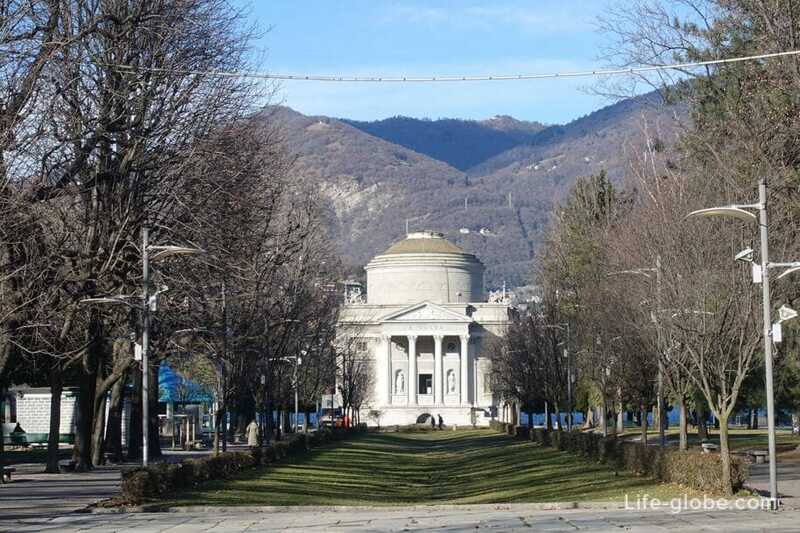 The park is the gardens of the Volta Temple (Giardini del Tempio Voltiano), which includes: a playground, a miniature golf course and a museum dedicated to Alessandro Volta's "Volta Temple" (Tempio Voltiano). 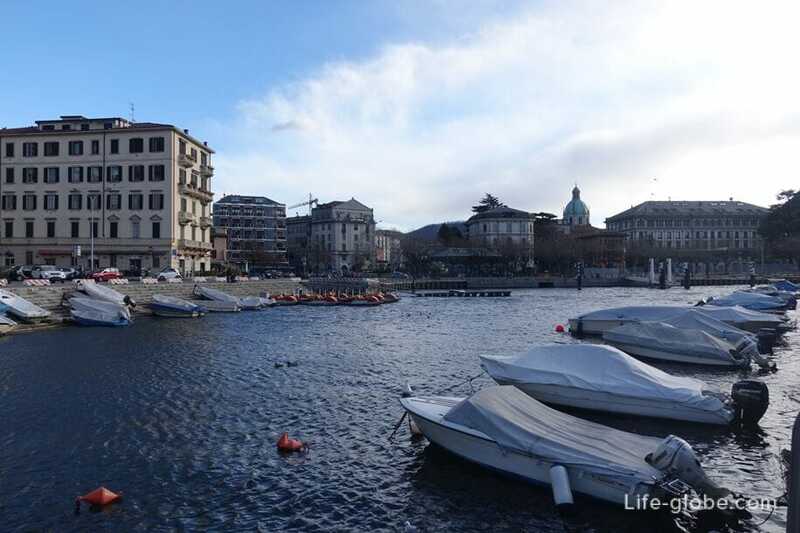 The Aero Club Como. 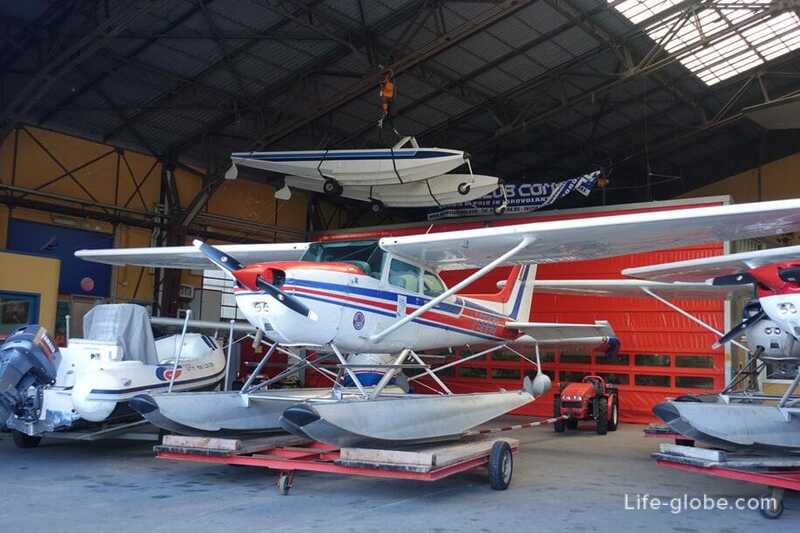 Here you can enjoy a seaplane flight with professional pilots and admire the city and lake from above. 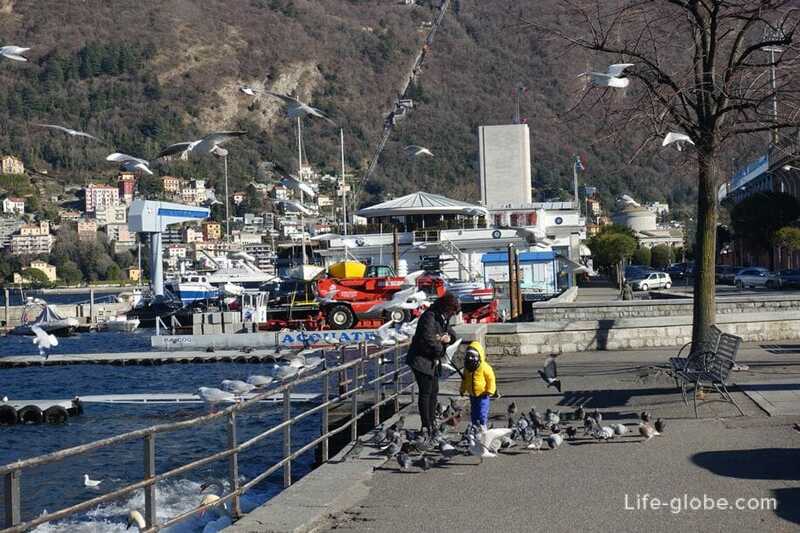 The left part of the waterfront of Como is more tranquil and less visited place. 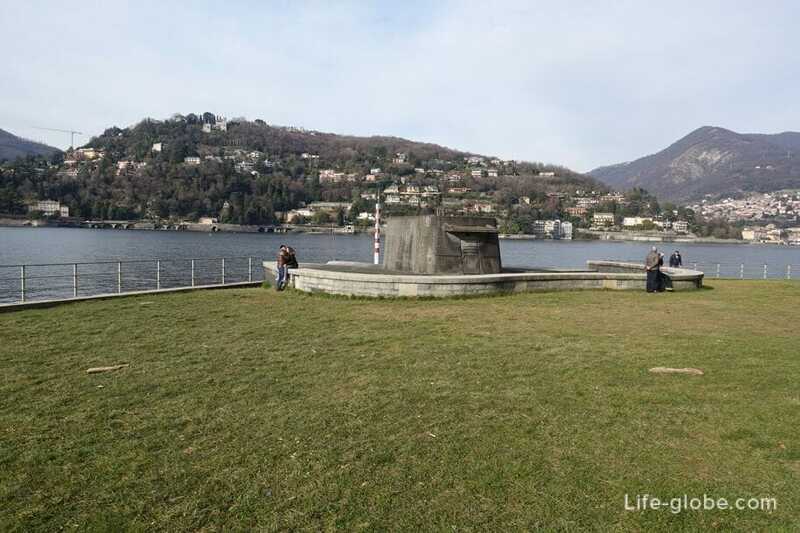 Here is the place for relaxation and the balconies that offer picturesque views of the lake and the surrounding area than other embankment. 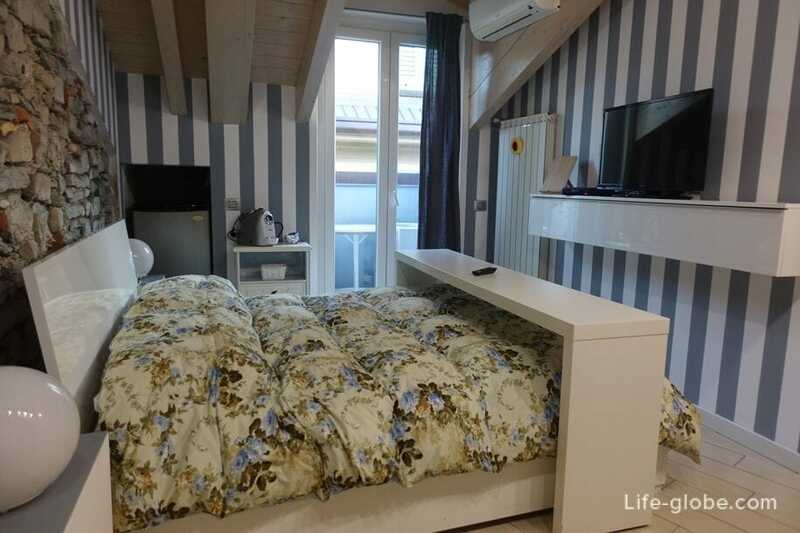 Villa Saporiti, Villa Gallietta. 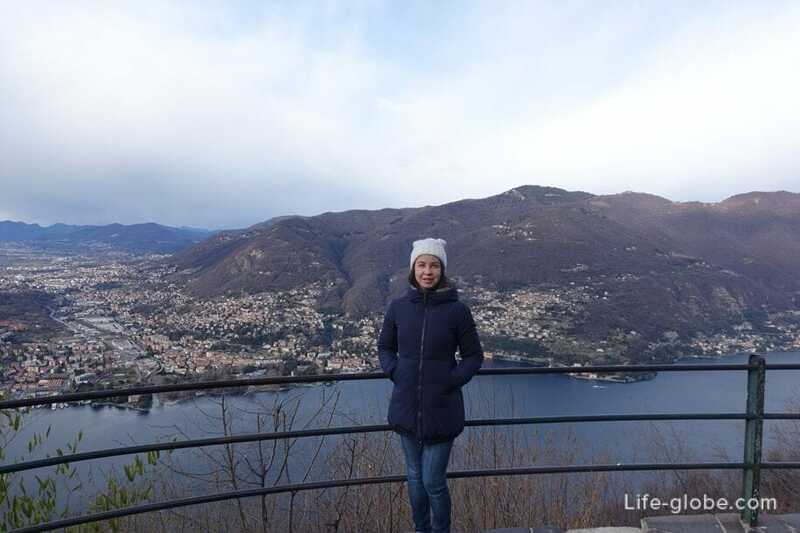 Lake Como famous for its villas, which once served as the residences of aristocrats and wealthy people. 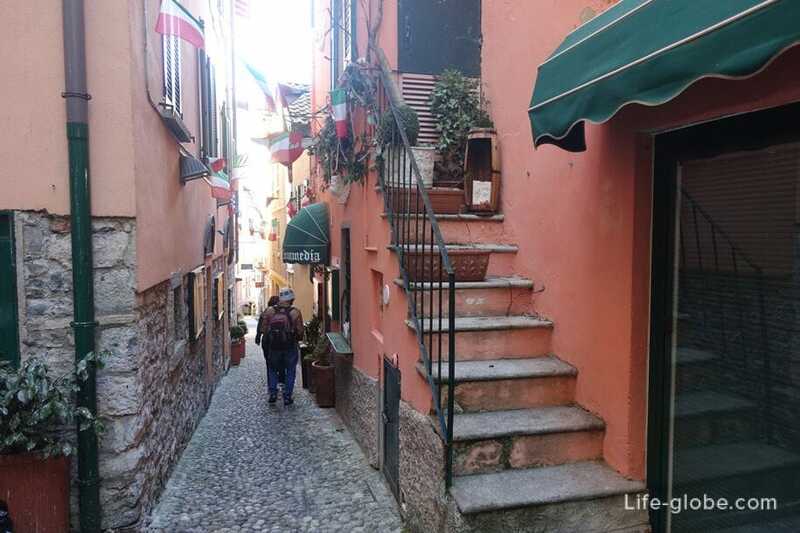 Currently these villas are mostly museums, hotels, restaurants and government agencies. 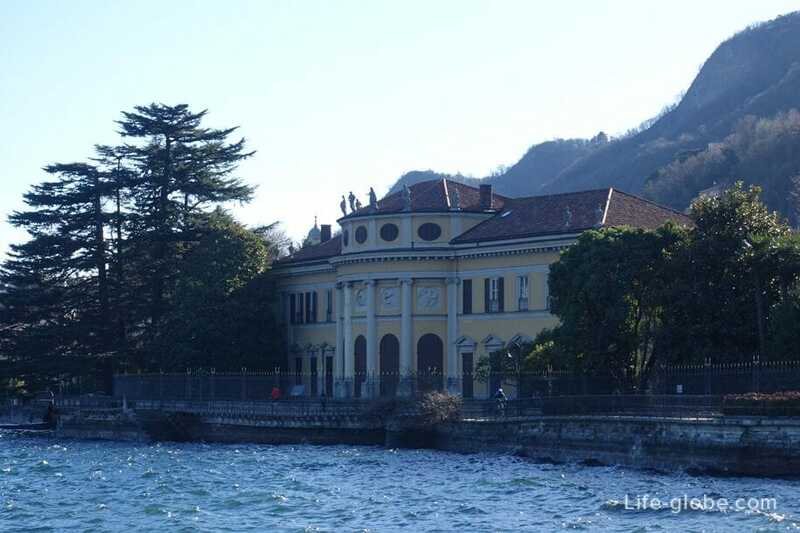 The most exquisite villas Como - Villa Olmo. 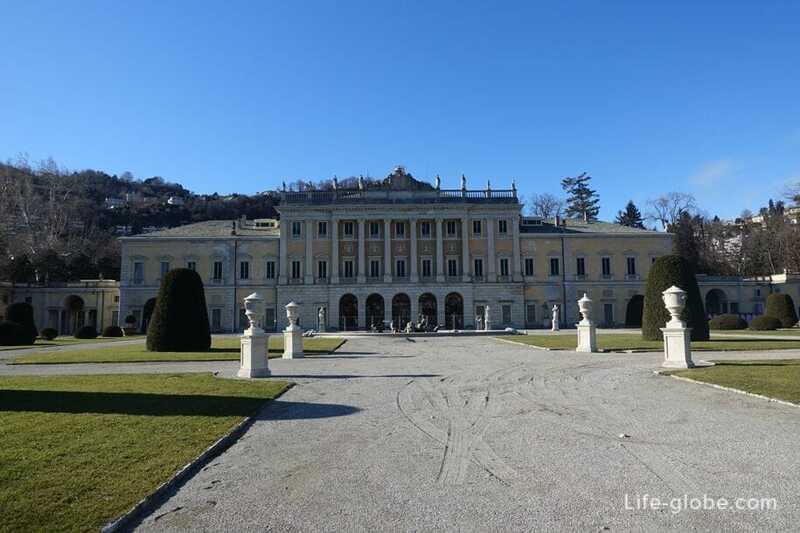 Villa Olmo, built from 1797 in neo-classical style has beautiful architecture and large green area. 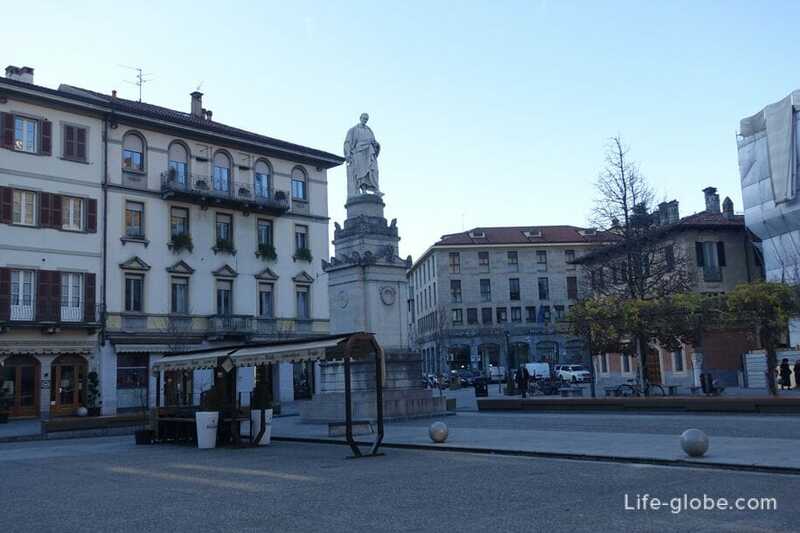 Currently it is the venue of exhibitions. May be closed for visits during different work hours are better to check on the official website. 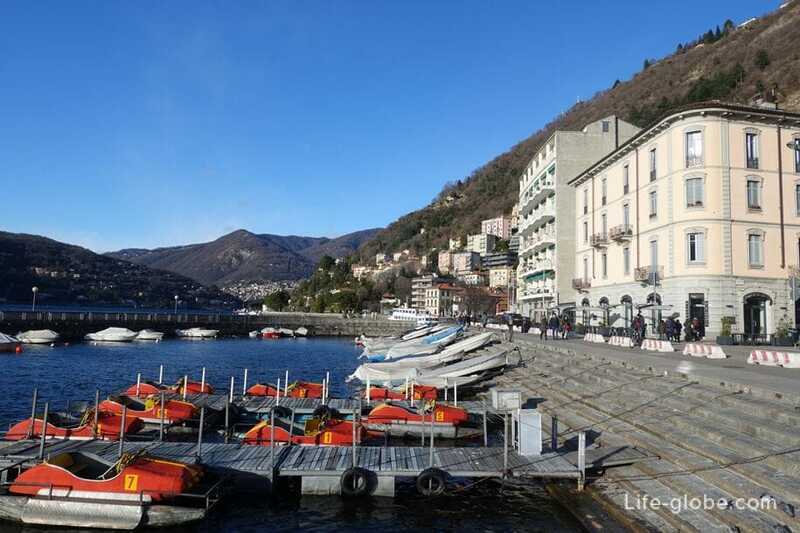 If you proceed farther along the lake, twenty minutes later, you can go to the towns of Tavernola and Cernobbio. 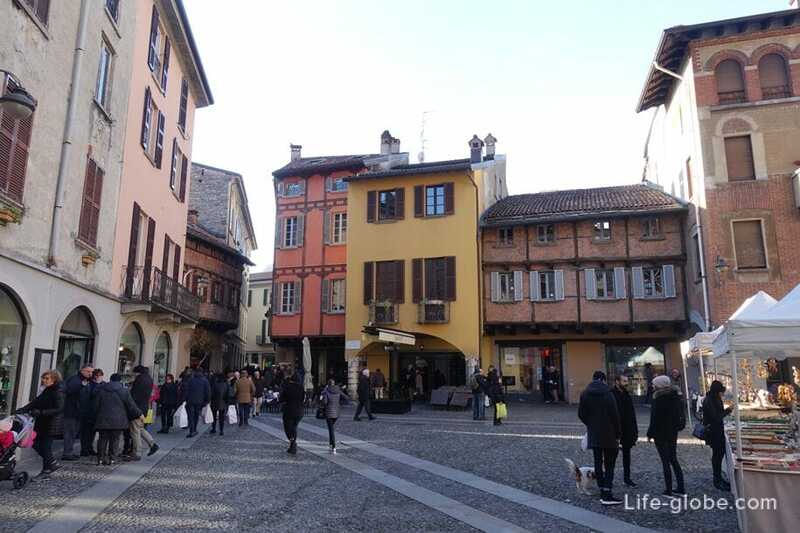 The historic centre of Como or, as it is called "Old town" - the heart of Como, a place where the most interesting and visited sights of the city. 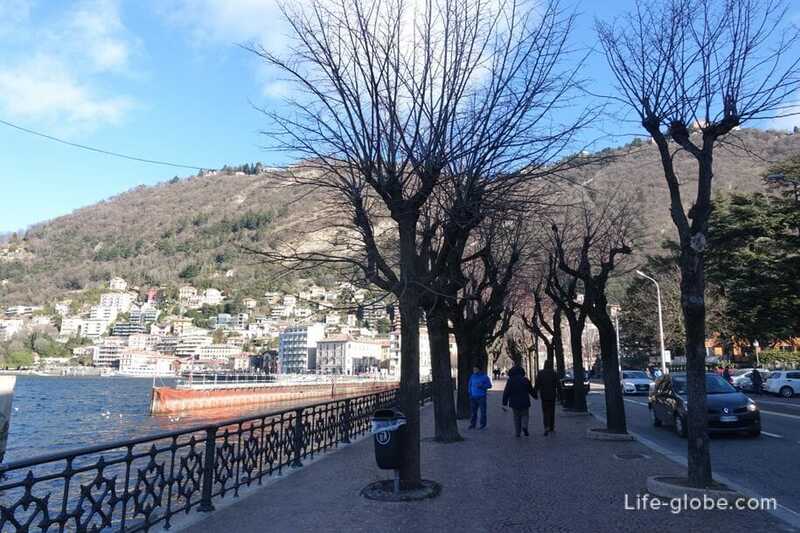 The most visited part of the historic center located close to the right side of the embankment. 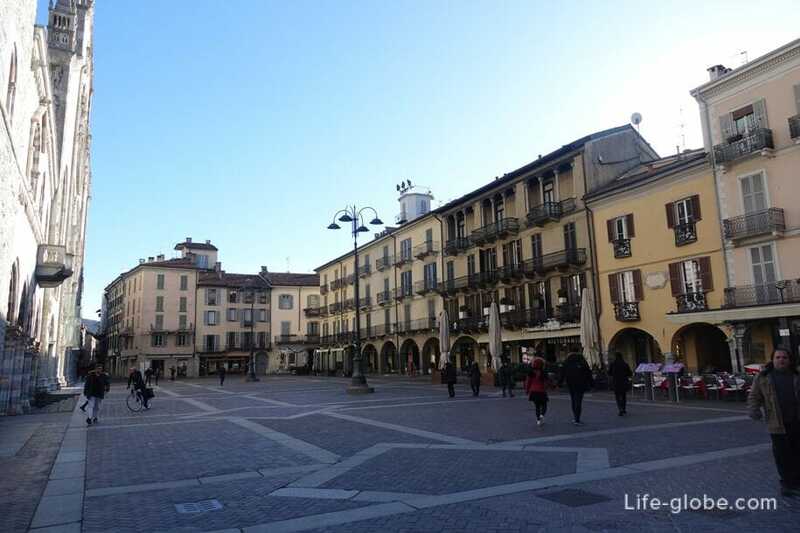 In the Historical centre: the intertwining streets, along which are right next to each other, the ancient buildings, small squares and courtyards, churches, as well as an abundance of shops, shopping, gift shops, cafes and restaurants. 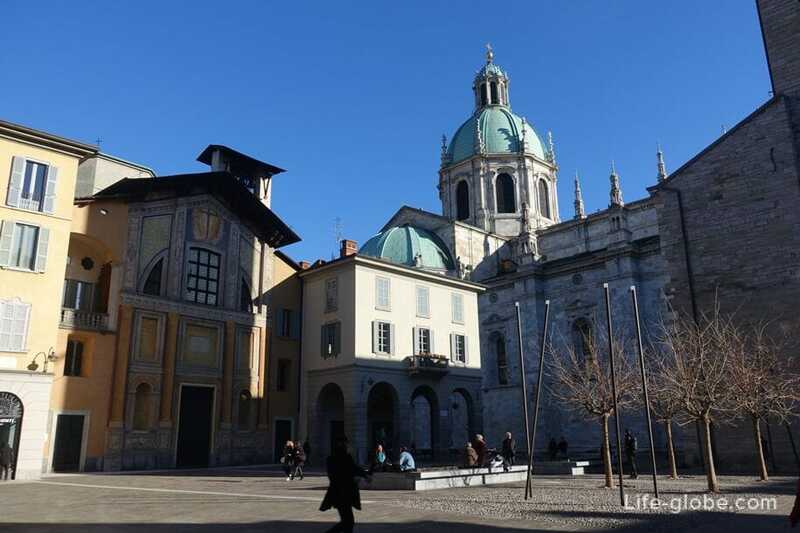 The Duomo Cathedral di Como (Duomo di Como/Cathedral of Como) - the main and the largest Cathedral in Como. 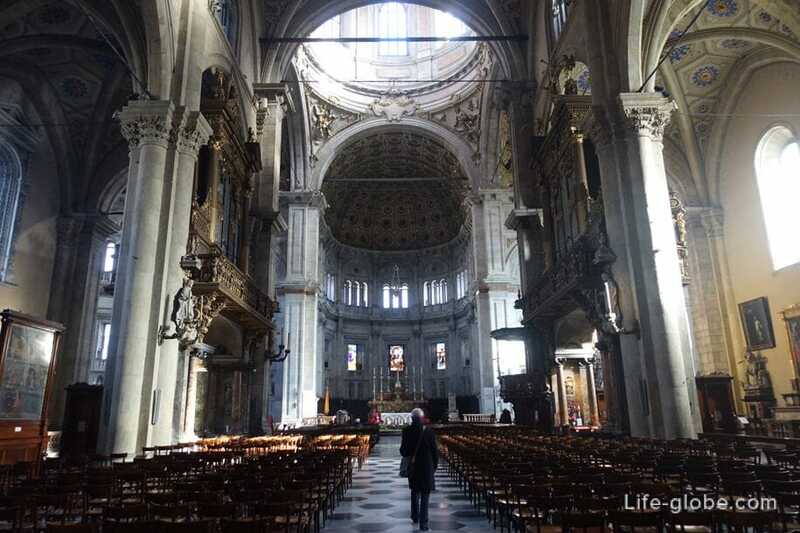 The Cathedral sits on the same square. 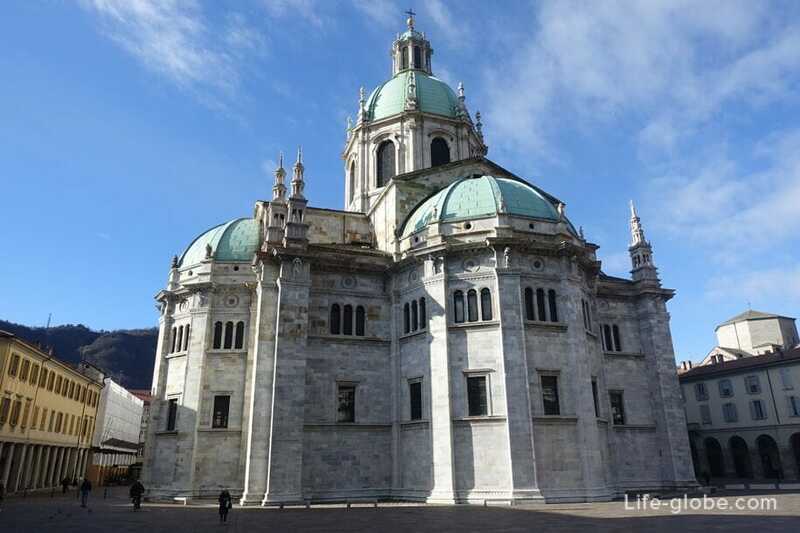 This majestic Cathedral is, without a doubt, is the hallmark of Como. 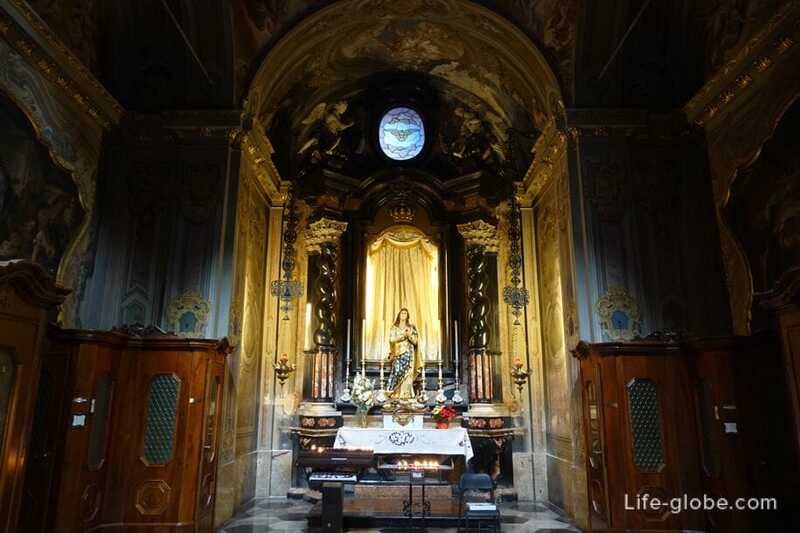 Built in the Gothic style and dedicated to the Dormition of the blessed virgin Mary. 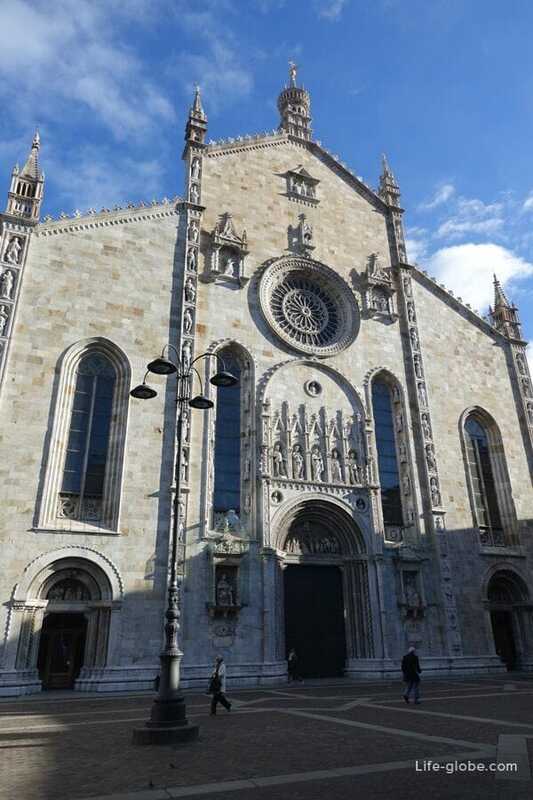 Construction on the Basilica began in 1396 on the site of a previous Romanesque Church of Santa Maria Maggiore. 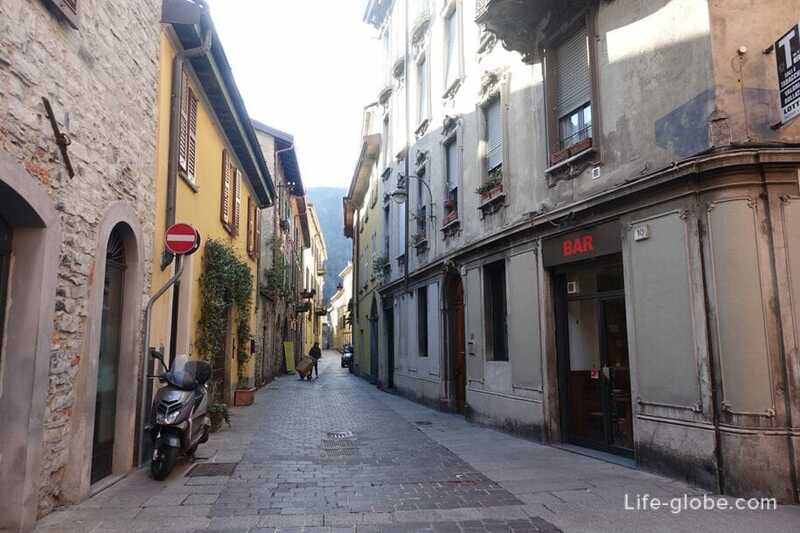 Directly adjoins the Cathedral and the Palace of the Broletto (Palazzo Broletto) - old residence of the rulers of the city of Como. 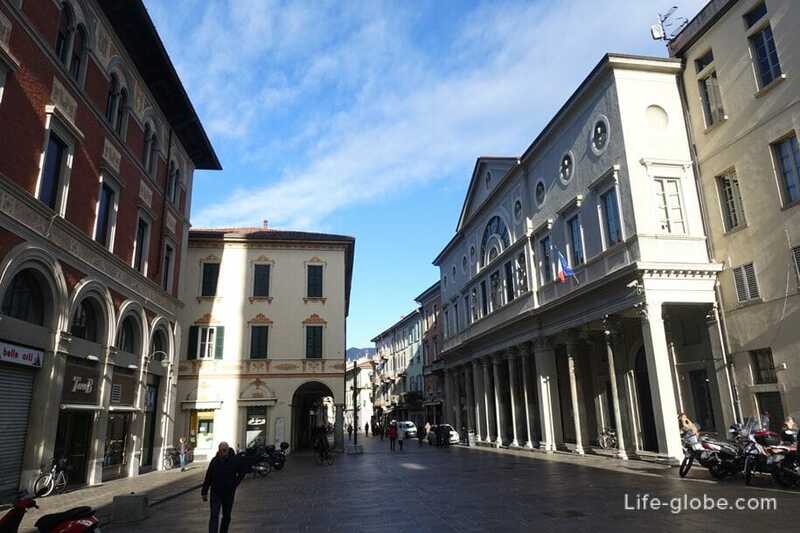 The Palazzo was built in the Gothic style with Renaissance elements in the facade and dates back to the 15th century. 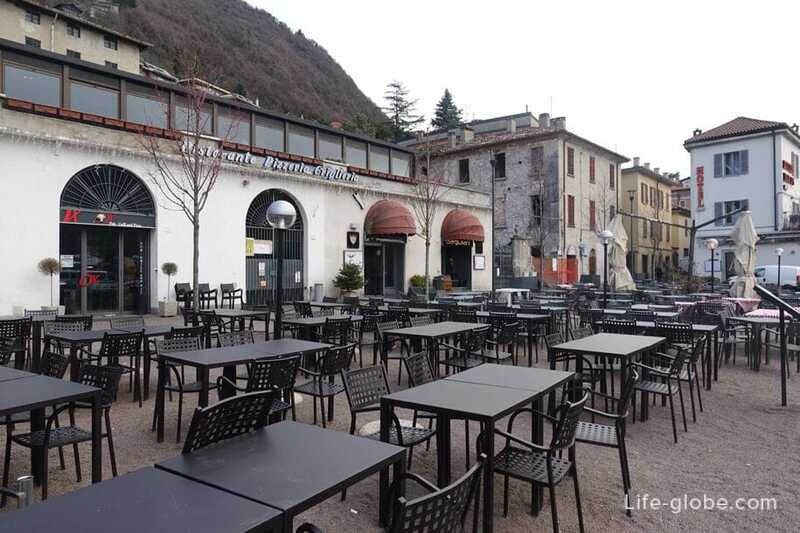 Currently, Broletto is used as a Congress hall and as a venue for art exhibitions and celebrations. Executive ensemble of both buildings (Palace and Cathedral) is obvious, but, in the end, this duet has become almost unique evidence of the close connection between spiritual and temporal authorities in the city of the European middle ages. 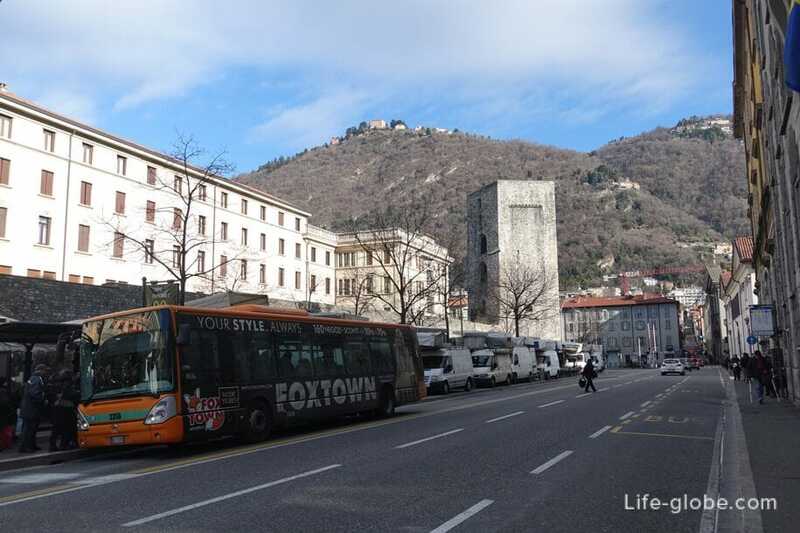 Behind the Cathedral is the famous Sociale theatre (Teatro Sociale di Como). 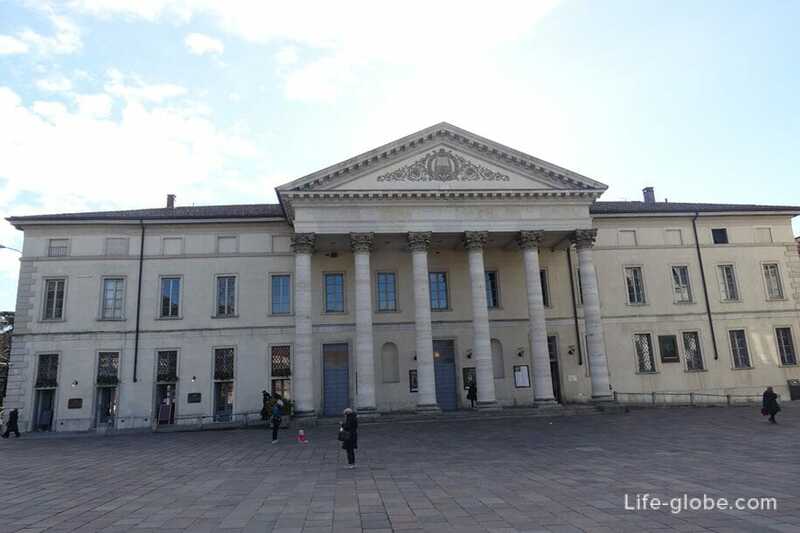 The theatre was designed by architect Giuseppe Kuzi the local nobility, adopted in connection with the need to replace outdated buildings. 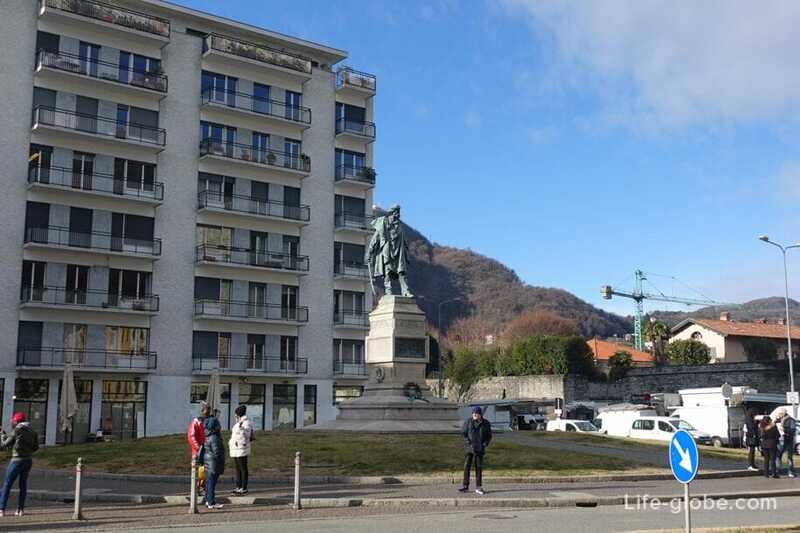 The construction of a new and more modern buildings began in early 1812, and was to be completed in the same year, but due to bad weather and minor troubles the construction was delayed. 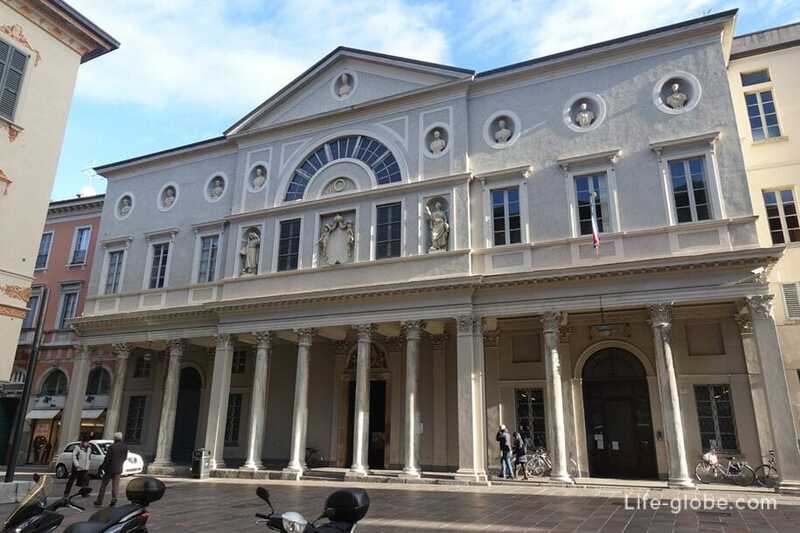 The facade of the theater is made in the neoclassical style. 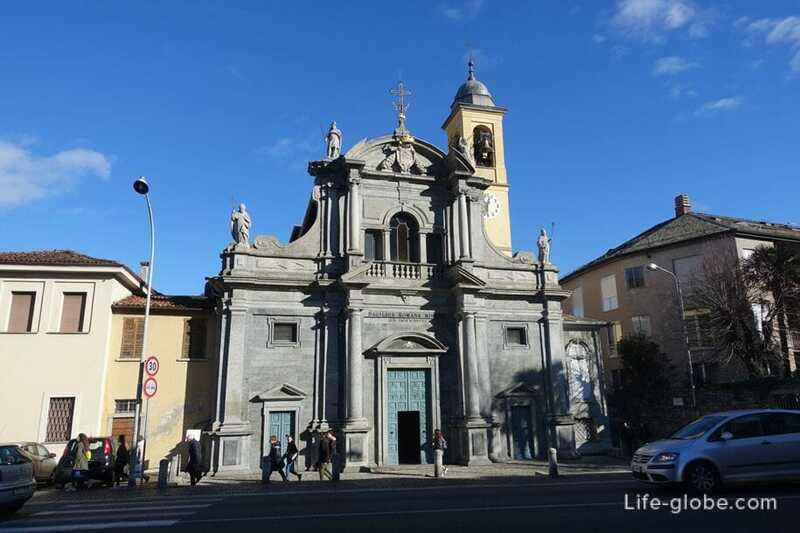 Another famous Shrine of Como is the Church of San Fedele or the Basilica di San Fedele (Chiesa di San Fedele). 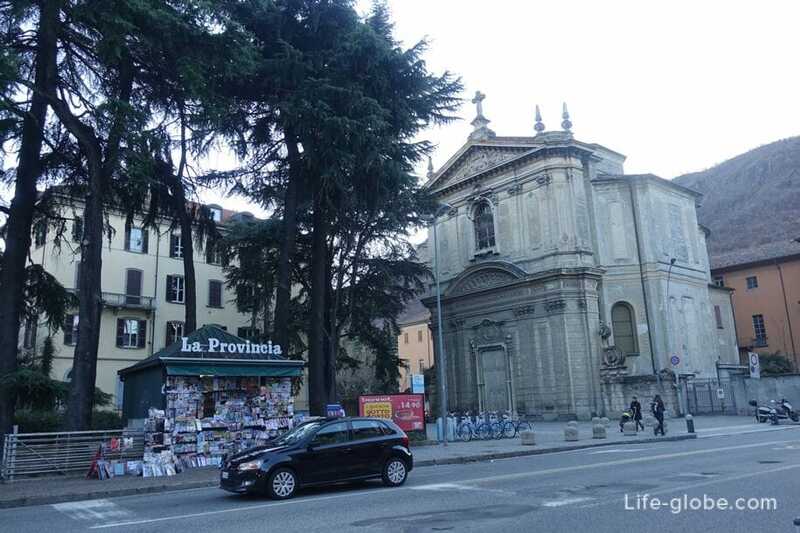 This Church is located in the historical centre of Como and the homonymous square (Piazza S. Fedele) and dedicated to the Martyr St. Fidelis. 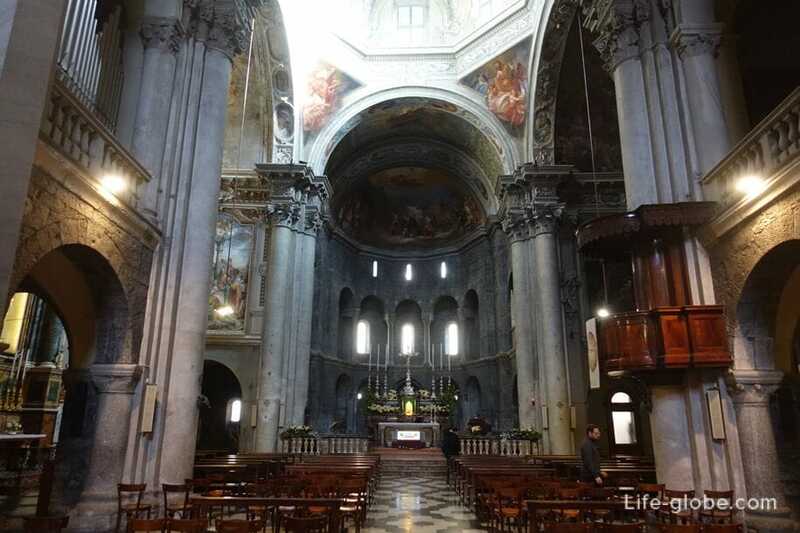 The construction of the Basilica dates back to the year 1120. 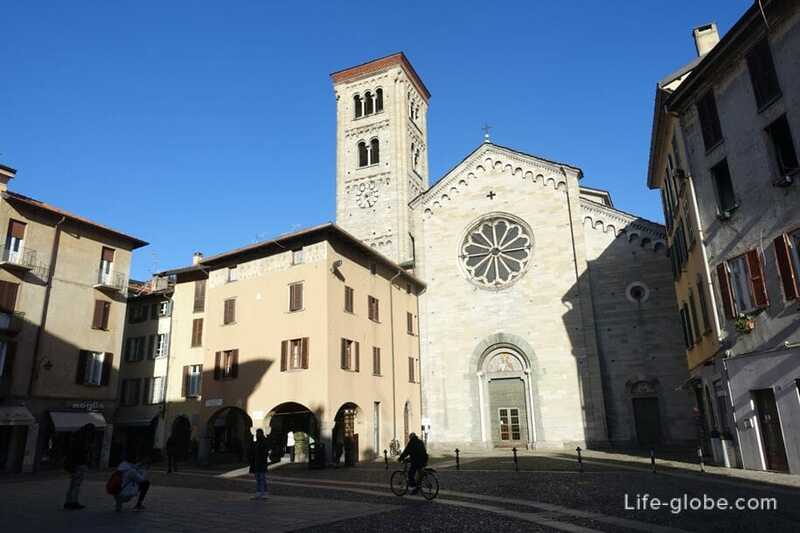 Neo-Romanesque facade of San Fedele, rebuilt from the ground up in 1914, decorated with ornate window in the form of a rose. 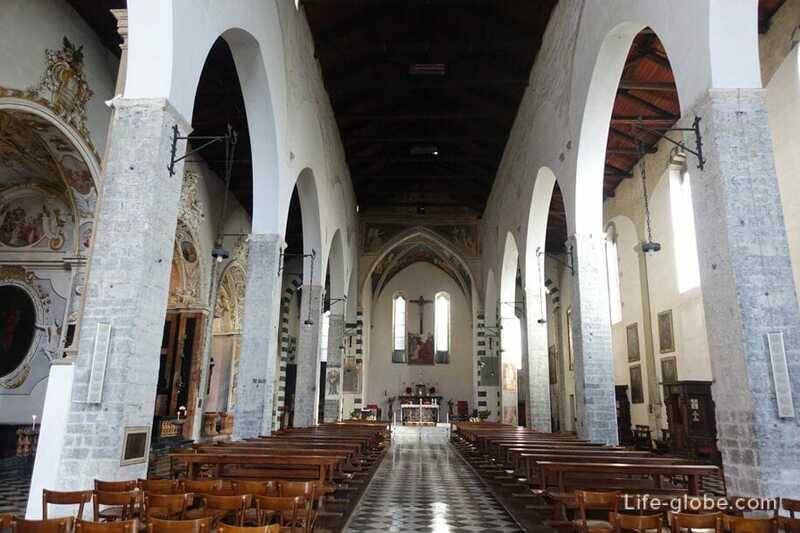 Church of the Holy Cecillie or Church Worship (Saint Cecilia/Chiesa dell Adorazione). 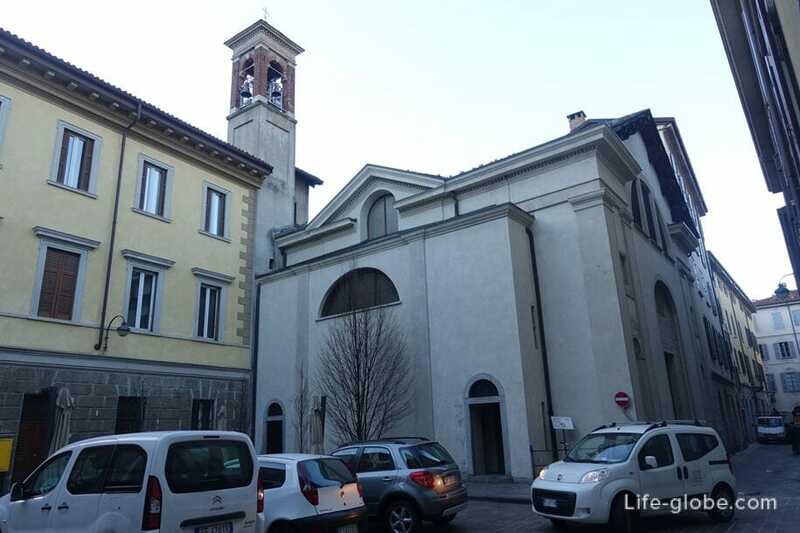 Externally, the Church seems invisible, as it is located in the walls of the high school Alessandro Volta. 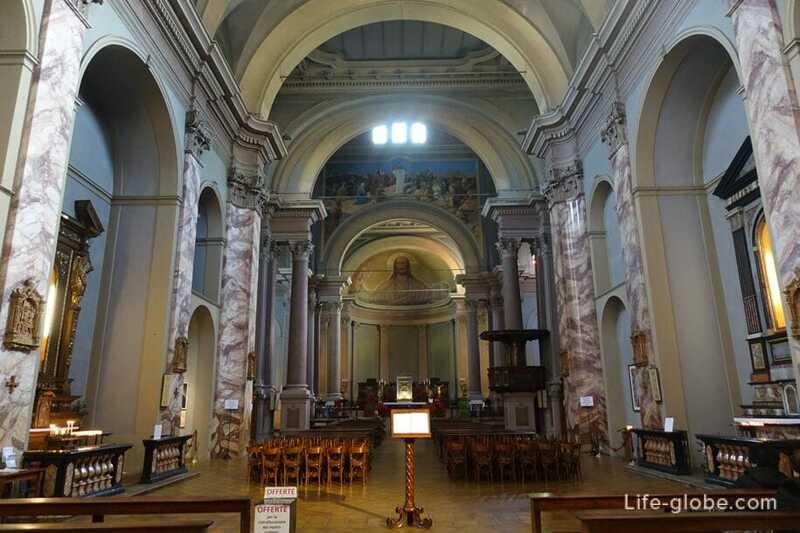 The interior of the Church is richly decorated with frescoes. 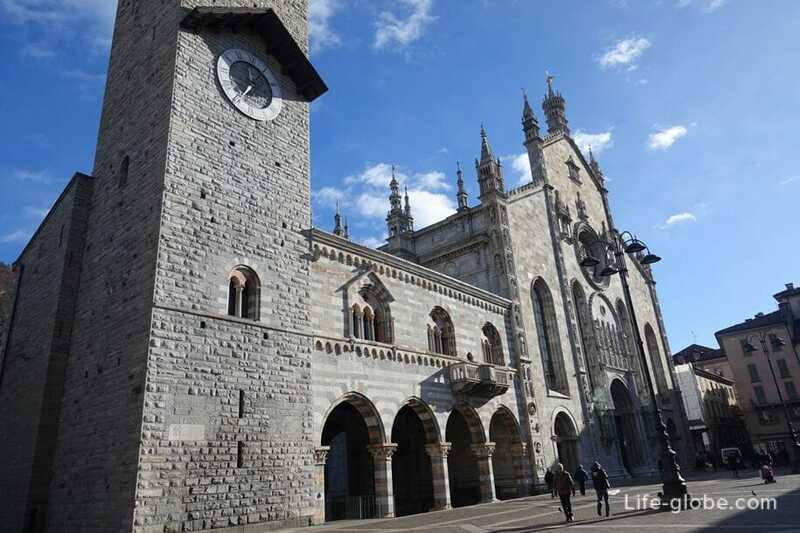 Perhaps this is one of the most striking churches of the historical part of Como. 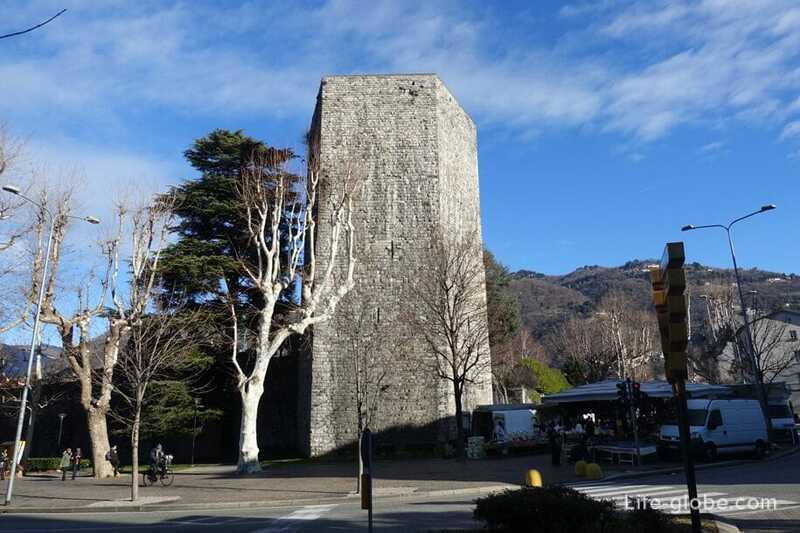 Near the Church Cecillie you can see another historic landmark of Porta Torre is one of the defensive towers in Como, erected in 1192 to protect the most important and the main entrance to the city. The tower's height reaches 40 meters. 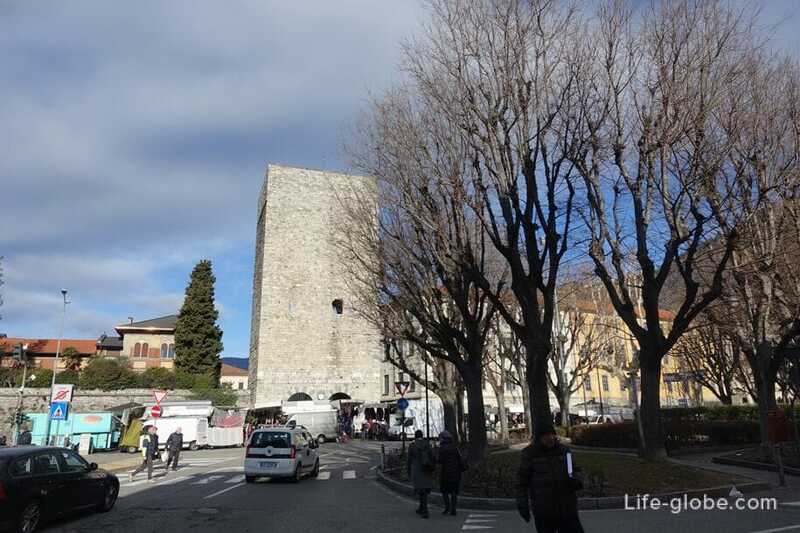 Porta Torre is one of the most interesting examples of Italian military architecture of the Romanesque tradition. 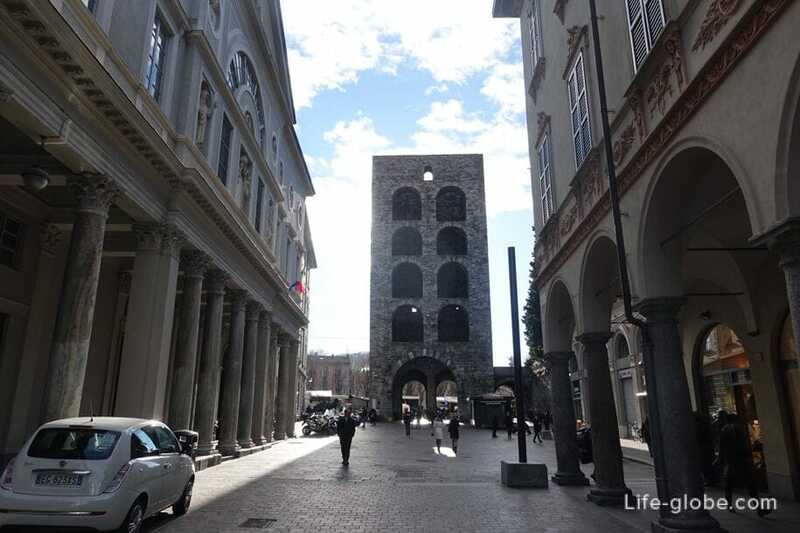 The tower has an impregnable view of the outside, while on the side of the former city you can see four rows of arches, two in each row, corresponding to the four internal floors of the tower. And along the streets Carlo Cattaneo (Viale Carlo Cattaneo) defensive wall and two towers located in the Western and Eastern parts of the street from the Central tower of the Port of Torre: tower Gattoni or Porta Nuova (torre di Porta Nuova/Gattoni Tower) in the West and the tower of San Vitale (Saint Vitale Tower) in the East. 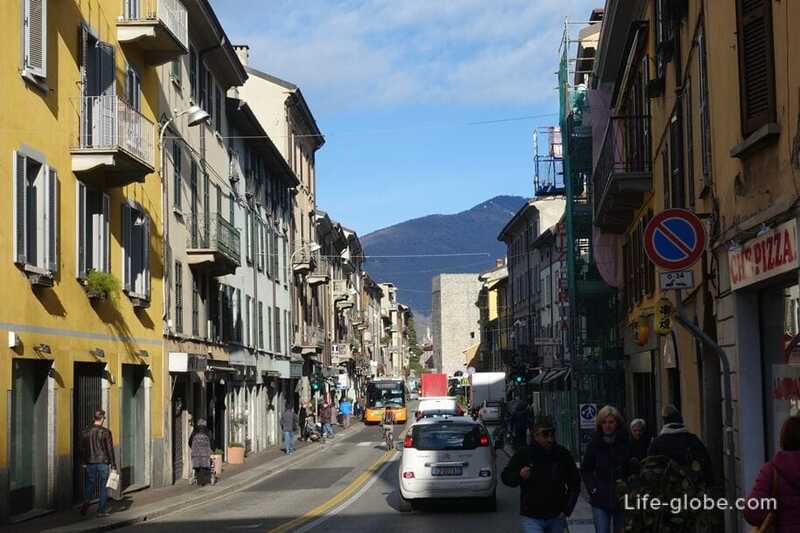 It is these towers and the wall, the city of Como can be geographically divided into the historic and newer parts. Along the protective wall running away tent market where, basically, sell clothes, bags, toys and other goods. 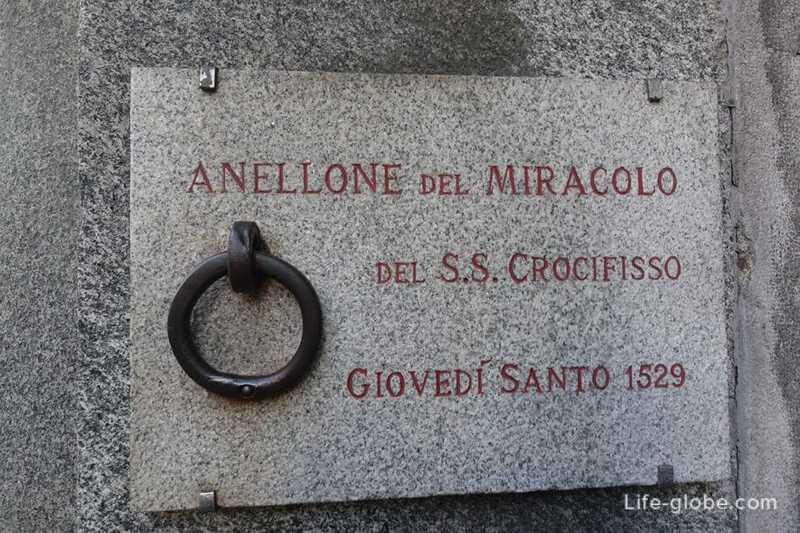 Near the Western tower, if you go to the lake down the street in Padua, is an interesting Catholic Church Santuario del Ss. 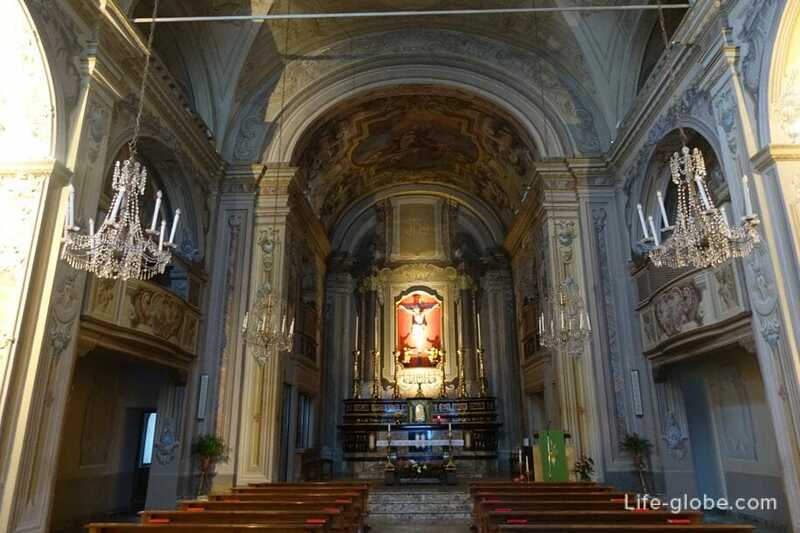 Crocifisso in Como, attractive especially as its so unusual for churches Como bright decorations. 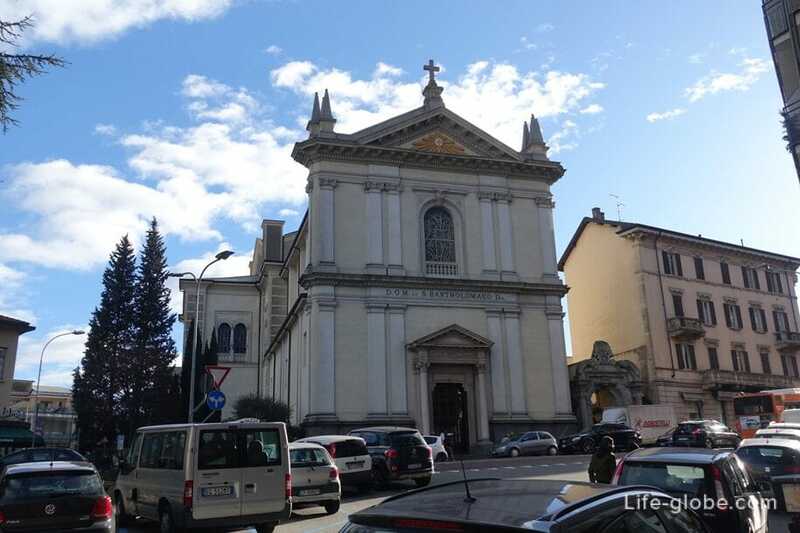 the Church of the Jesus (Chiesa del Gesu) - a small old temple in the Romanesque style, located in the historical centre of the city. 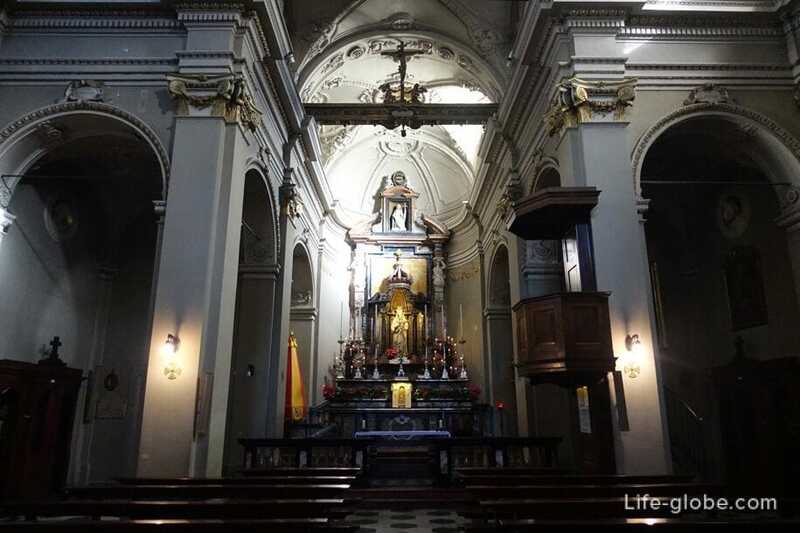 The Church is very simple, saved inside a typical decoration of Catholic churches. 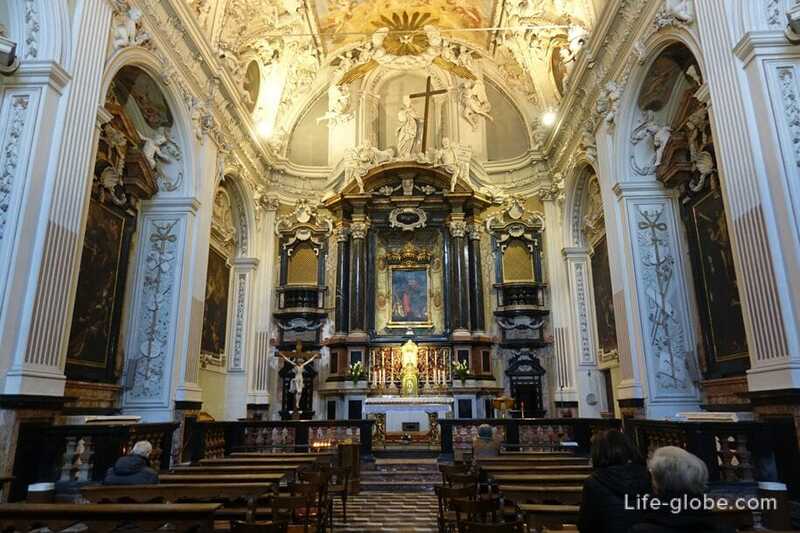 The Church is not a touristic place, but in such churches you can feel the particular atmosphere of the believer's life. Visit definitely worth it. 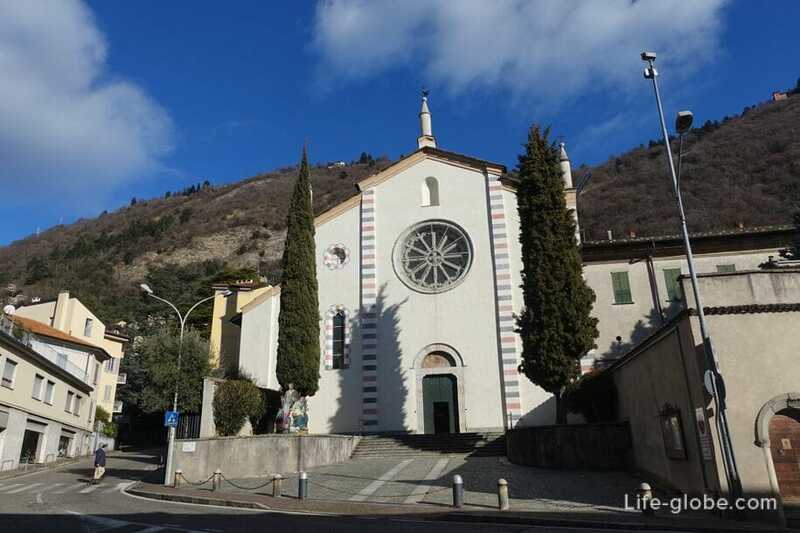 A small Catholic Church Parrocchia Sant'Agostino E Antonino built by the Cistercians in the early 14th century, restored in the 20th century. 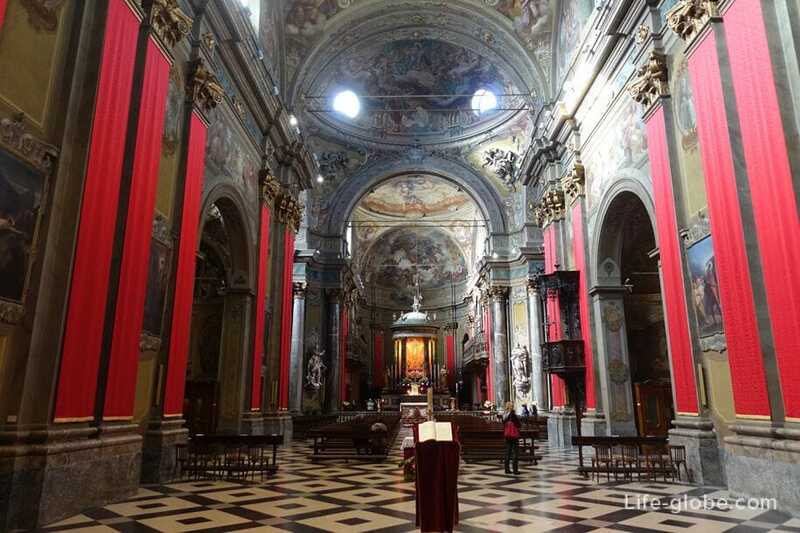 In the interior and surrounding the monastery you can see the frescoes of 15-17 centuries, but most of the decorations still made in the Baroque style. 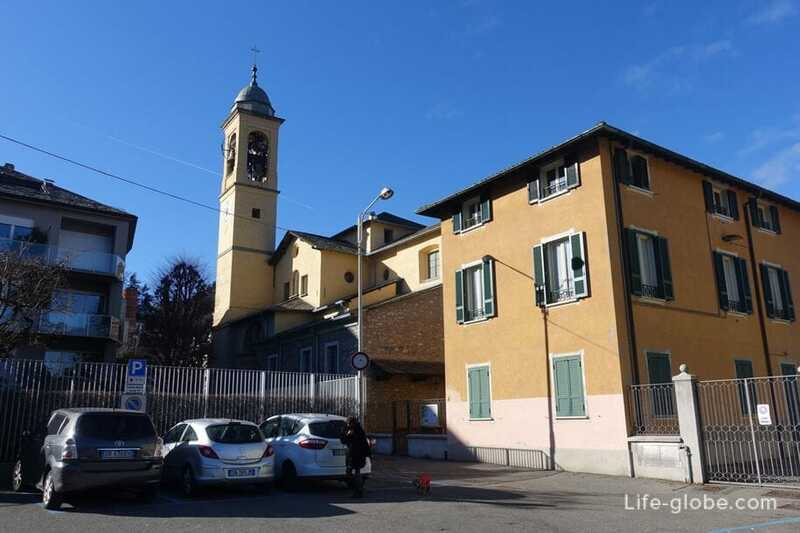 This Church is located near Autoscale and train station Nord Lago. 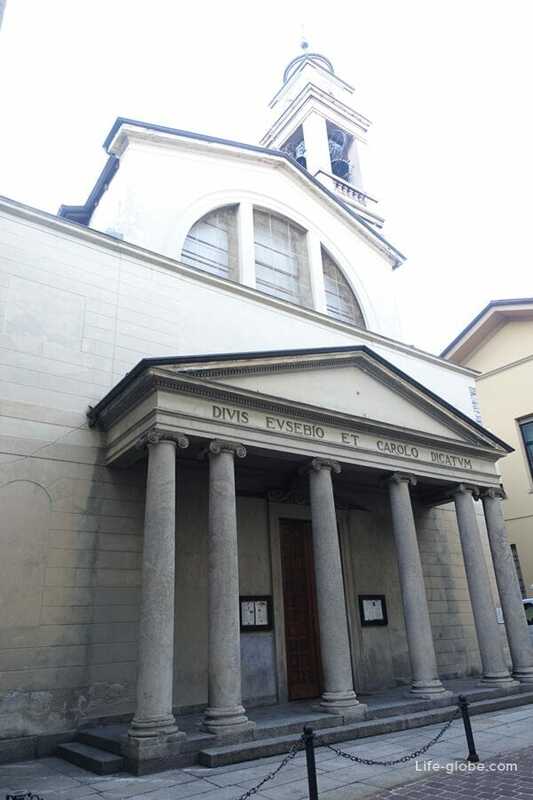 The parish Church of the Holy Orsola (Parrocchia S. Orsola) are located near the East defensive tower. 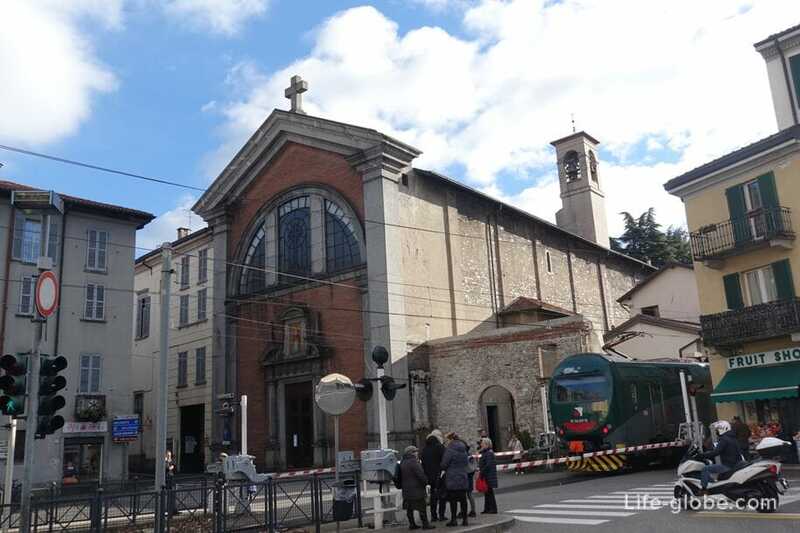 And Basilica of Sant'Abbondio (Basilica di Sant Abbondio) and the Church of St. Bartolomeo (Chiesa Cattolica Parrocchiale S. Bartolomeo), located outside the old centre. 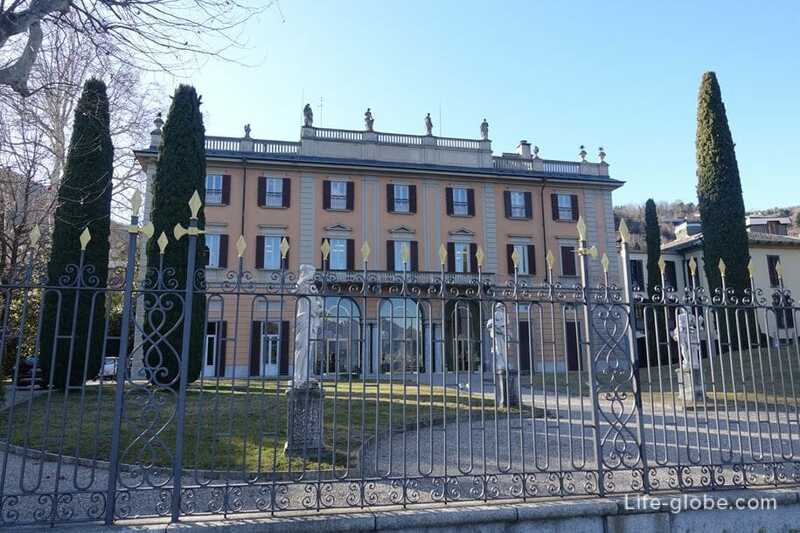 The silk Museum in Como (Educational Silk Museum - Como) talks about the process of making silk from growing caterpillars to looms. 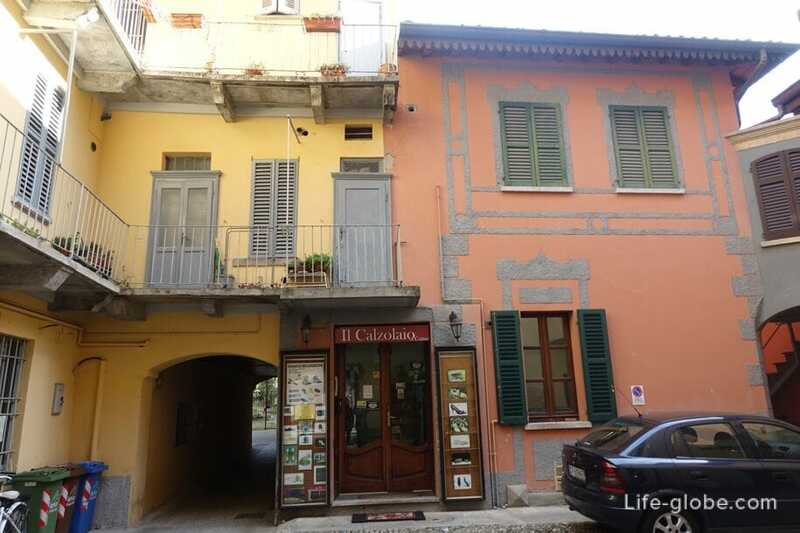 The Museum is located at Via Castelnuovo, 9. 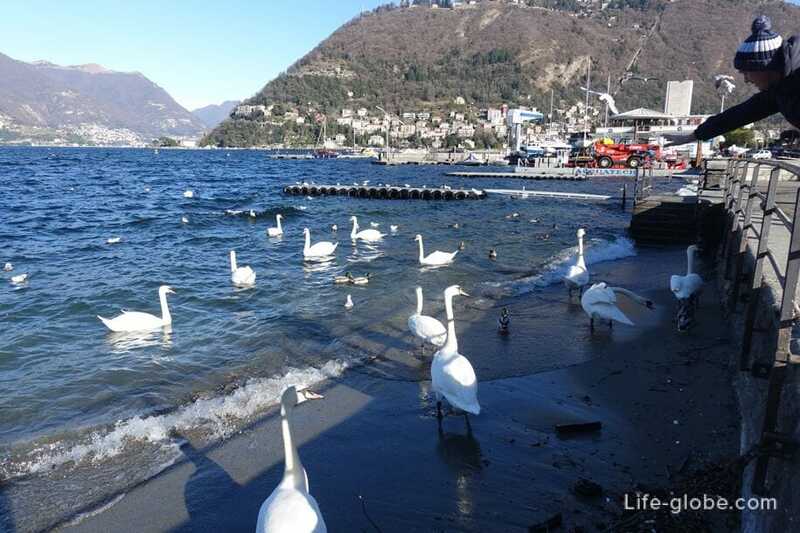 In 1985, the associations Classe '27 and Ex Allievi del Setificio began collecting materials belonging to the silk factories based in Como. 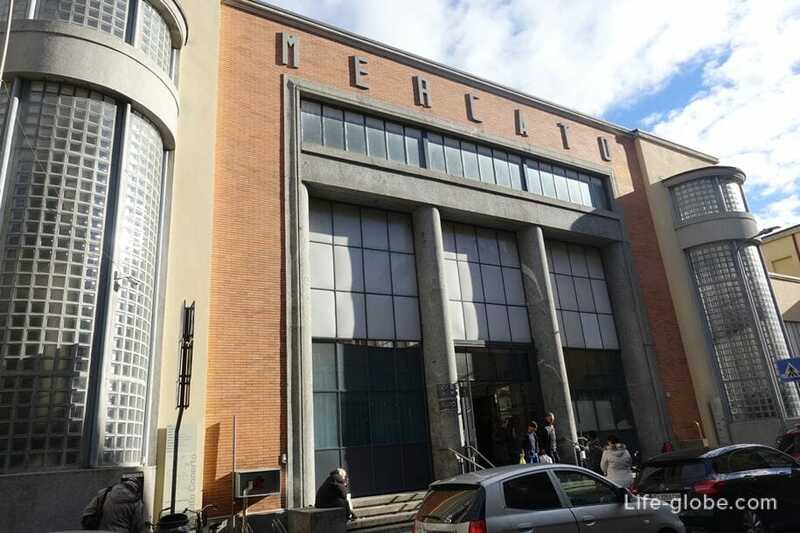 In the 1960-ies because of the fundamental reorganization of the textile industry began to change in the 1980-ies silk factory finally left their premises, which allowed us to collect cars and other valuables, in order to create the Museum and give history of the silk industry to future generations. In 1988 a Committee was set up by art. 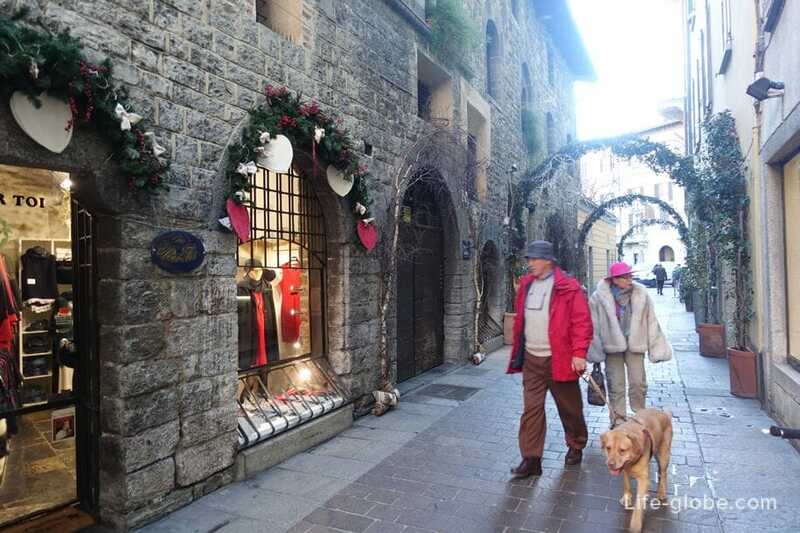 And in 1990 opened the Educational silk Museum, demonstrating the history of silk production. 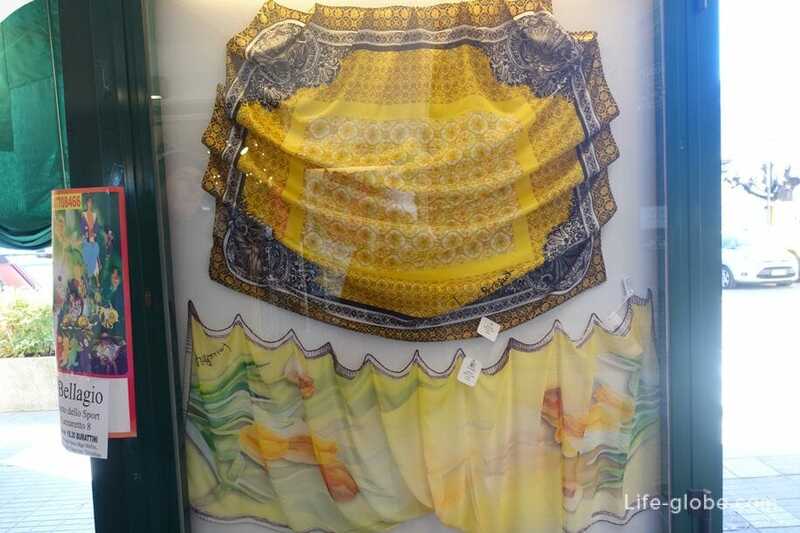 Silk in Como and the surrounding area special attention because silk and glassware produced in these places for more than 500 years. 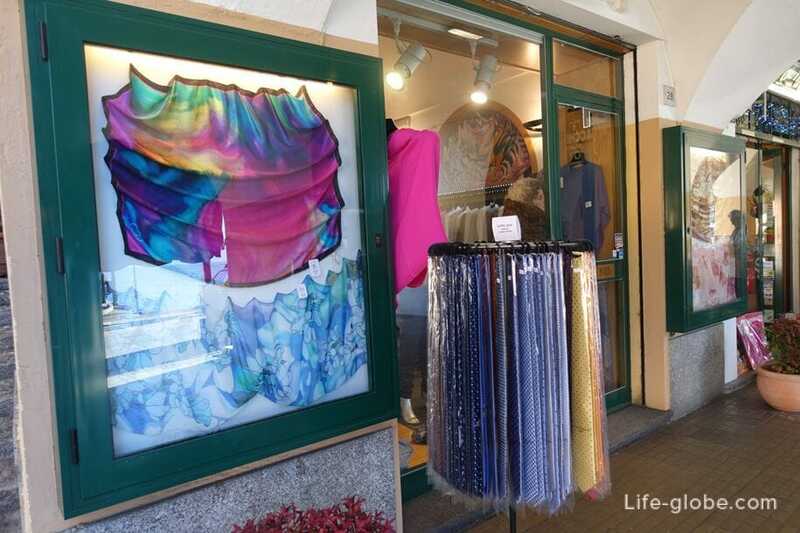 Silk products on the shores of lake Como are among the best in Italy and have become a hallmark of lake Como. 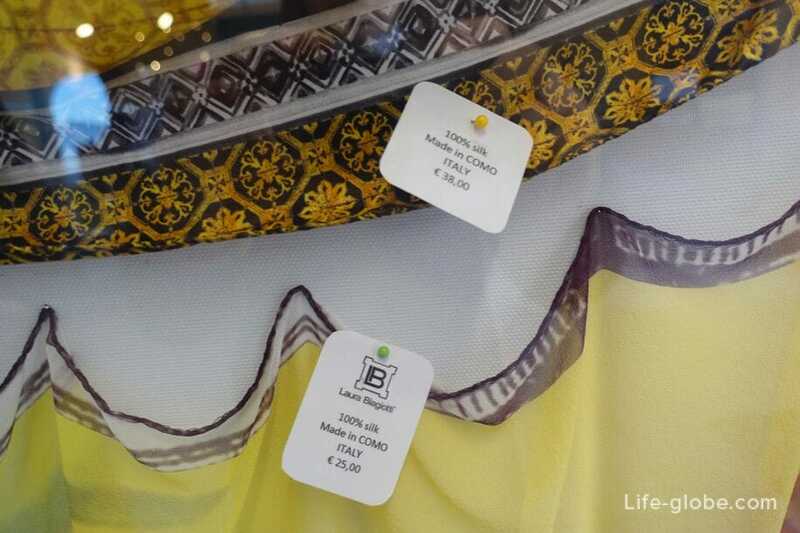 Silk products (scarves, ties, capes, etc.) 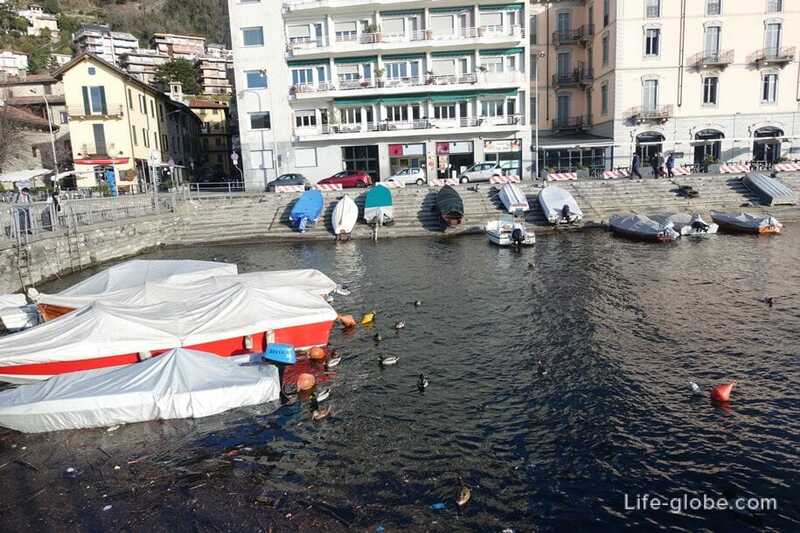 can be purchased in the many shops in Como, and that in other localities of the lake. 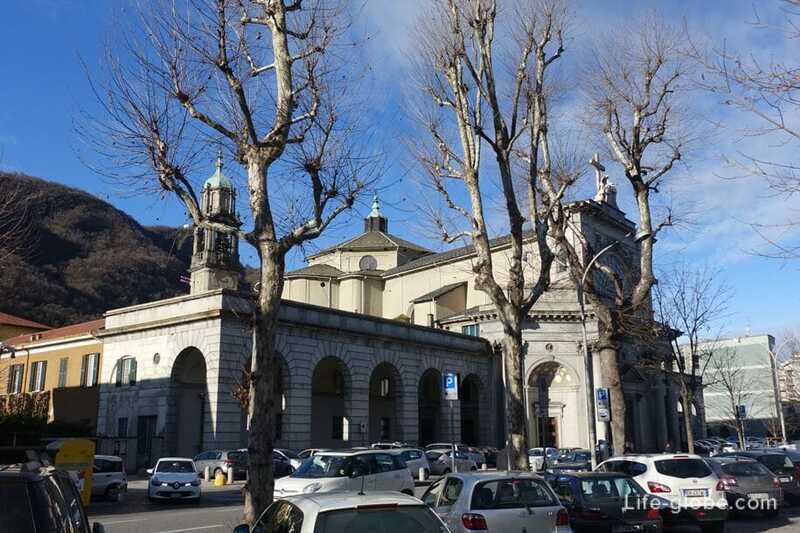 Grocery covered market (Mercato Coperto) is located at Via Giuseppe Sirtori, 1, near defensive towers and walls of Como. 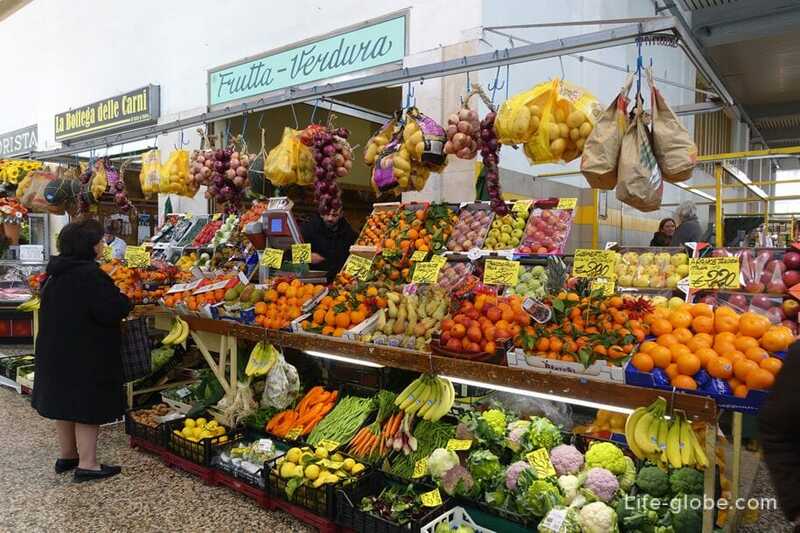 On the market you can find an abundance of food: meat, fish, vegetables, fruits, etc. 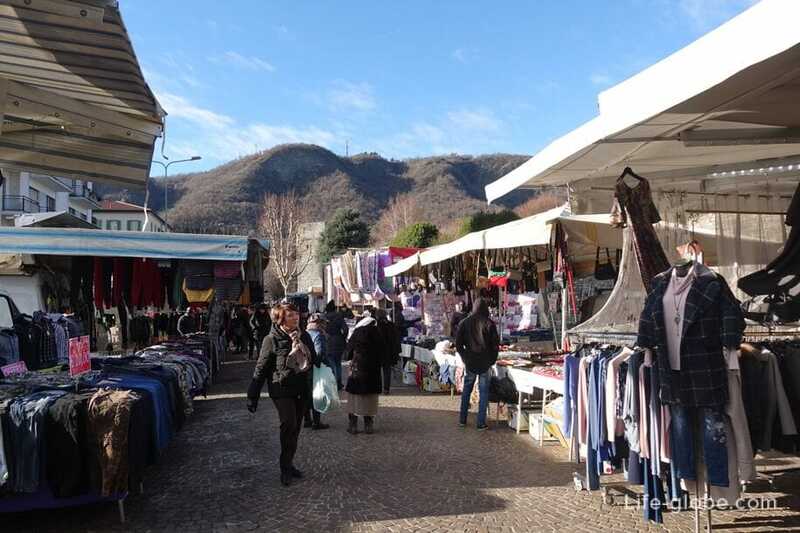 the Days of market operation: Tuesday, Thursday to 13:00; Friday - Saturday until 19:00; Monday, Wednesday, Sunday - closed. 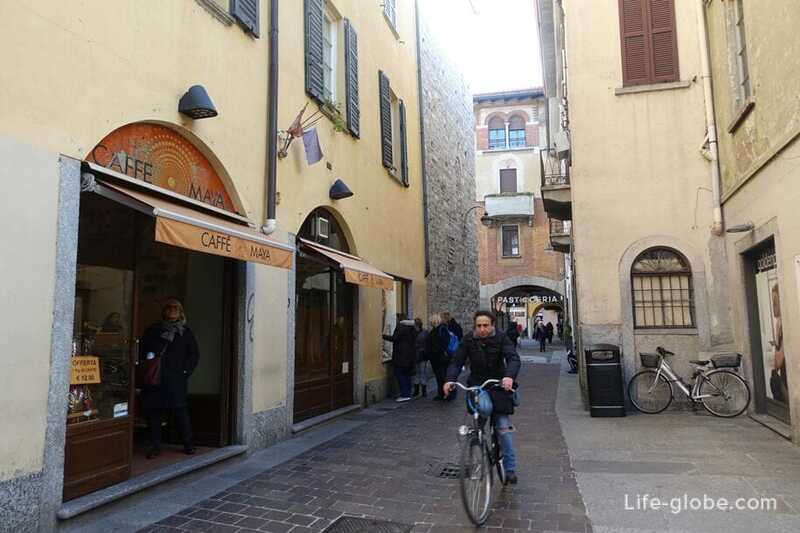 Small grocery shops on the streets of the historical centre of Como, it is sufficient, however, the choice of food and household necessities in them is very small. 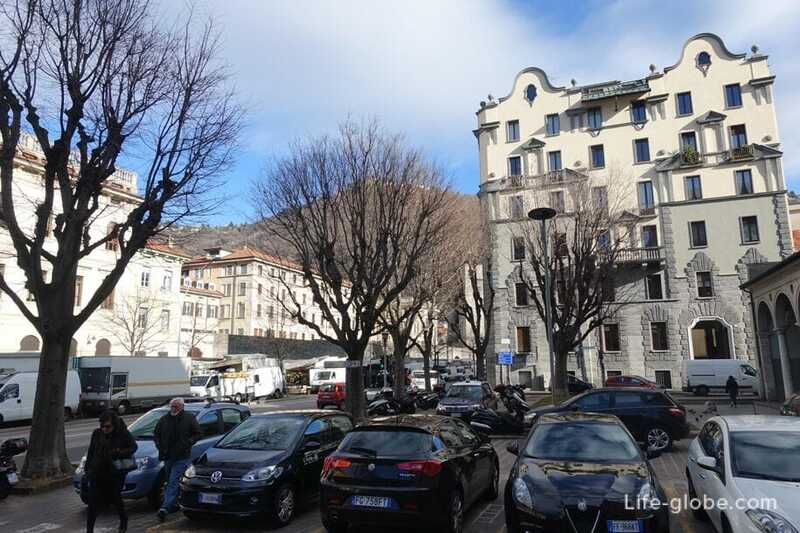 - Carrefour Express - Supermercato, located a block from the Duomo, in the basement of a Department store, in Via Pietro Boldoni 3. 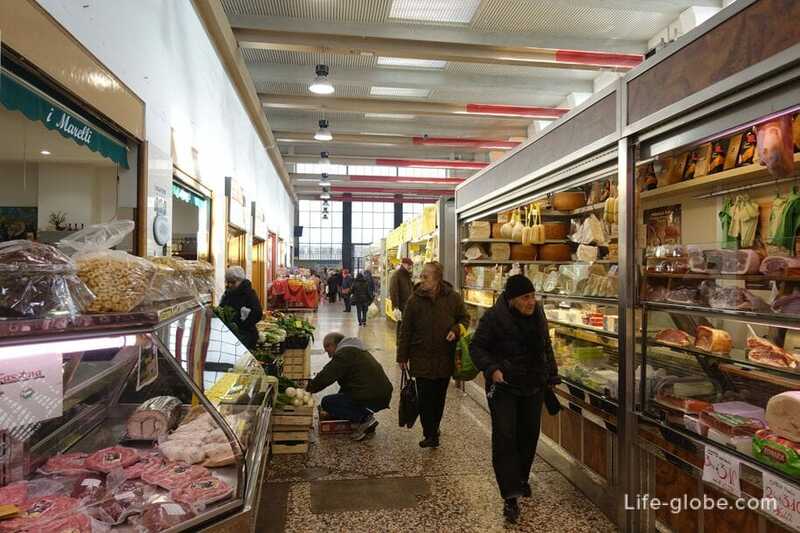 Although this supermarket and more Express, but the selection of fruits, vegetables and ready meals it is still a little bit poor. 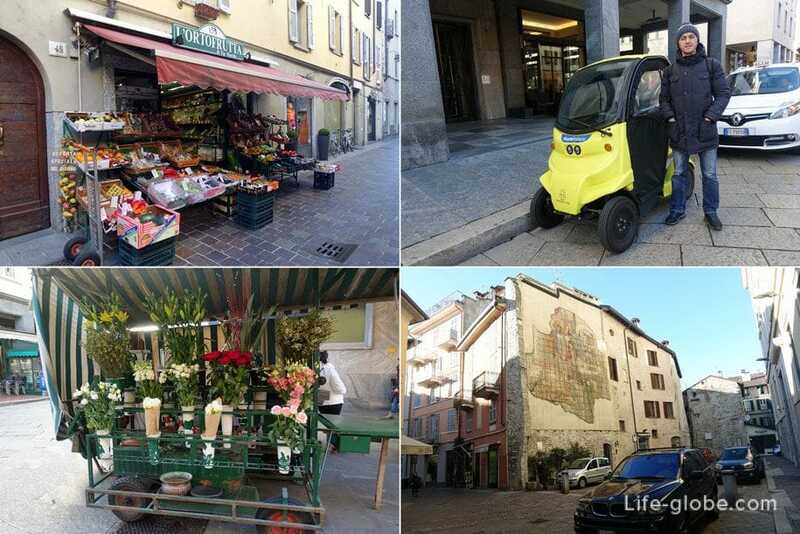 - Carrefour Market - Supermarket - perhaps the best in the historic centre and the choice of food. 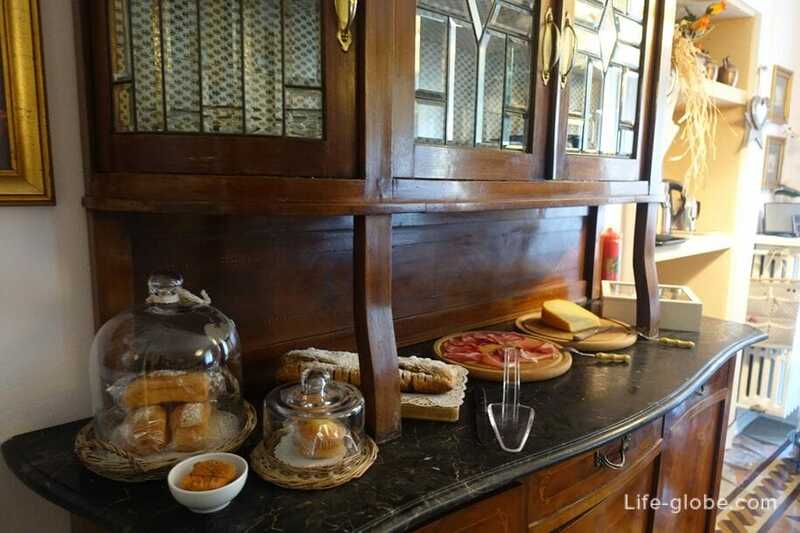 Here is a good selection of fruits, vegetables and cheeses. 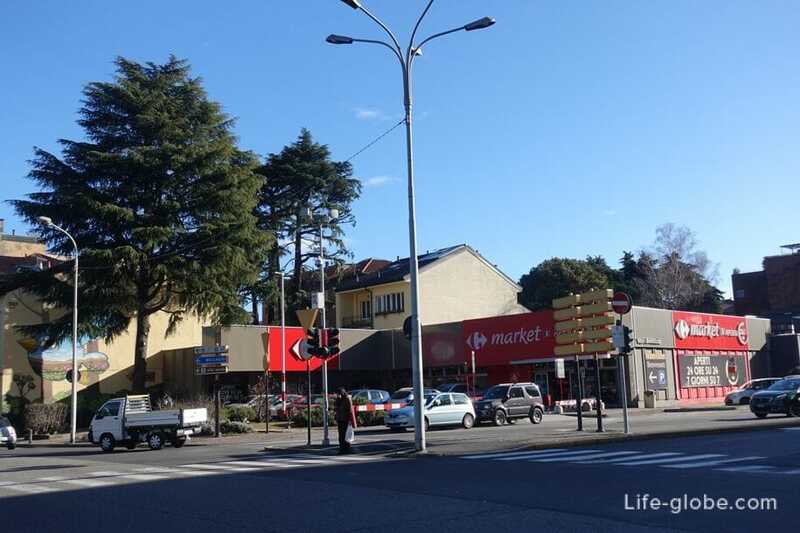 There is a supermarket close to the beach, or rather Park Multinskogo of the temple, at the intersection of Via Recchi/ Via Rosselli. 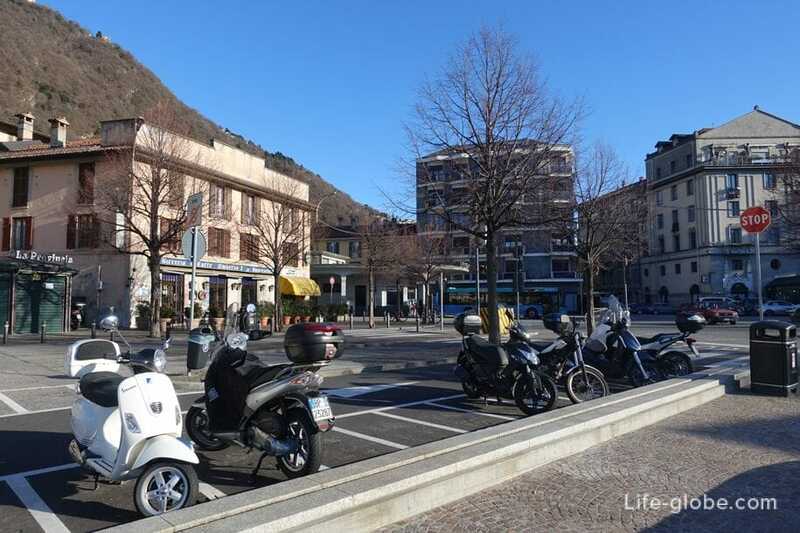 - Esselunga di Via Ambrosoli - a large supermarket with underground Parking, situated away from the historic centre, above the Central food market in Via Carloni, 24. 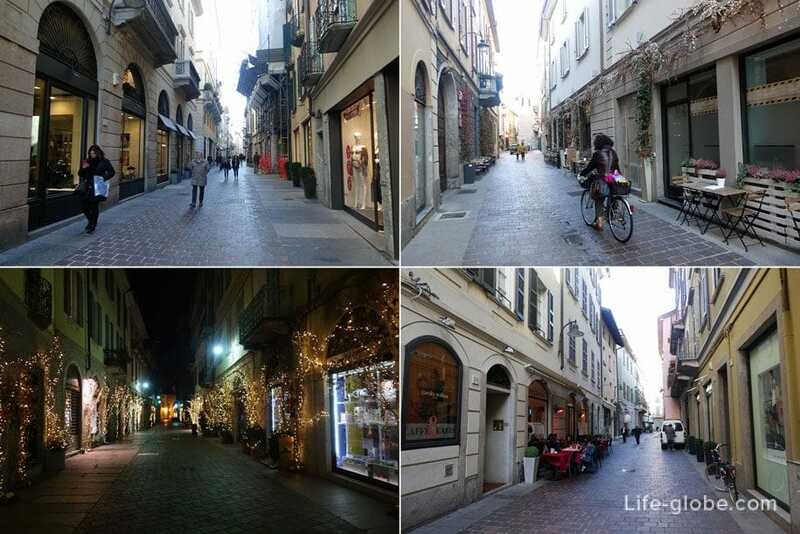 Hard to tell in Como is good any time of year, the sights and most of the restaurants are open all year round. 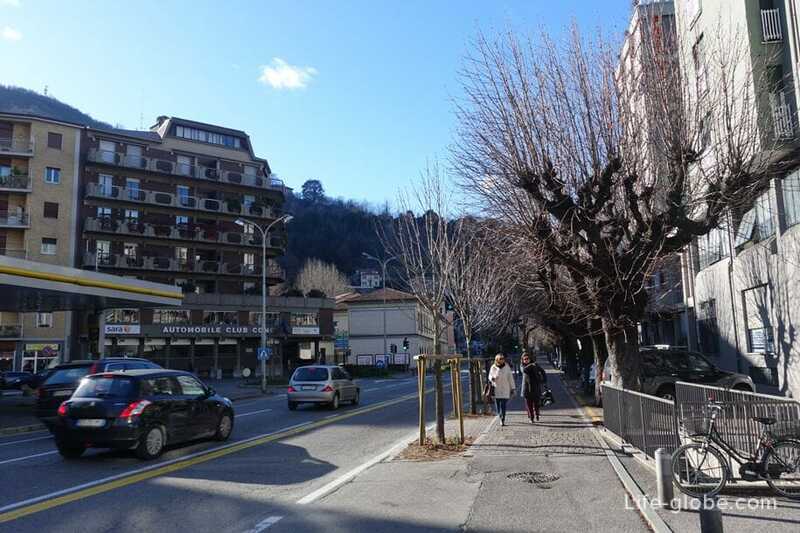 We were in Como in the month of January mostly the weather was good, +4 - +10 degrees, Sunny and we were surprised the city did not suffer from a lack of greenery. Although some establishments were still closed, as was written on the informational boards, they are closed from late October to mid-March. 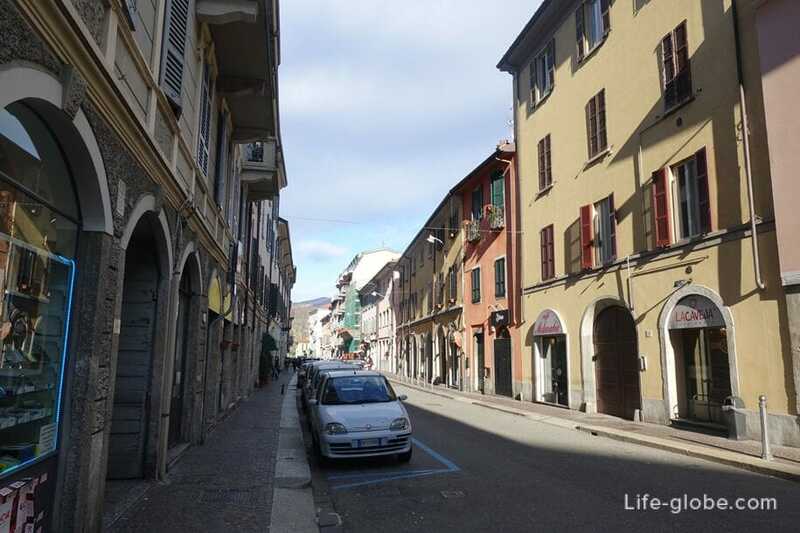 We believe, at least for three days, although many come just for a day from Milan. 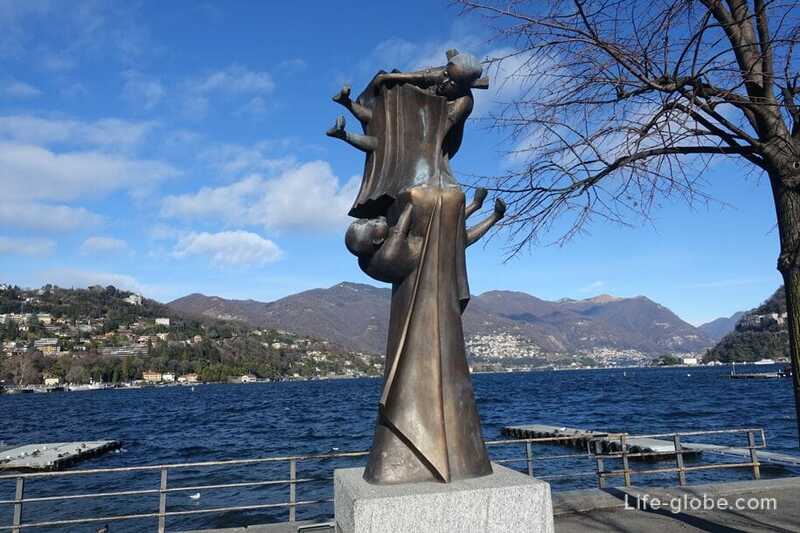 I think that one day there is little to see in Como, or will have to run, which the rest did not want to do. 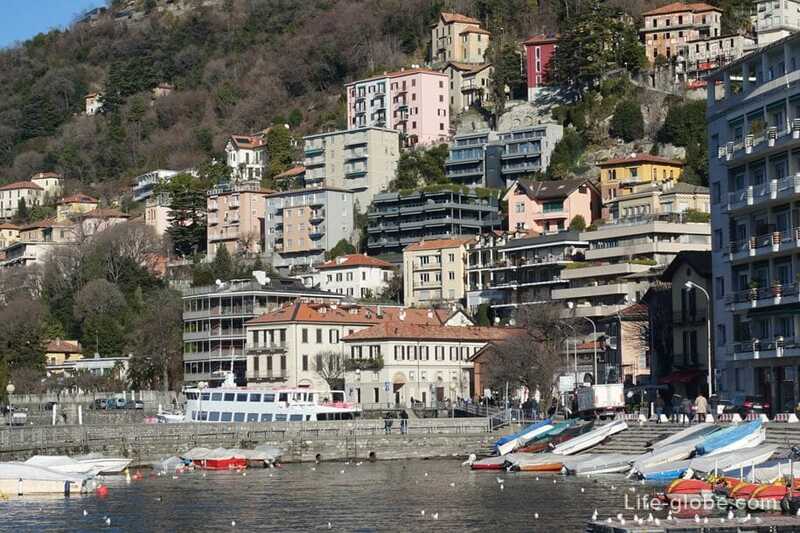 - and even a day or two to dedicate the trip to Bellagio. 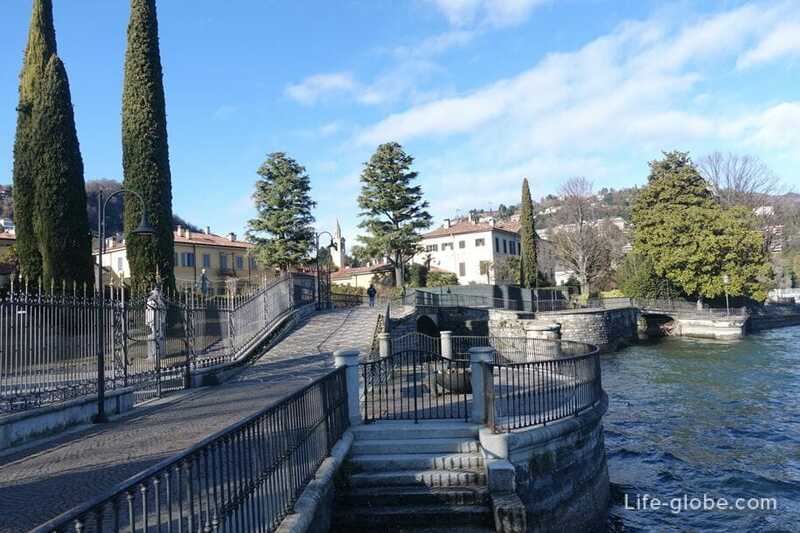 Visit Bellagio suggest to everyone, the town is very picturesque and well maintained, it is also called the pearl of lake Como. 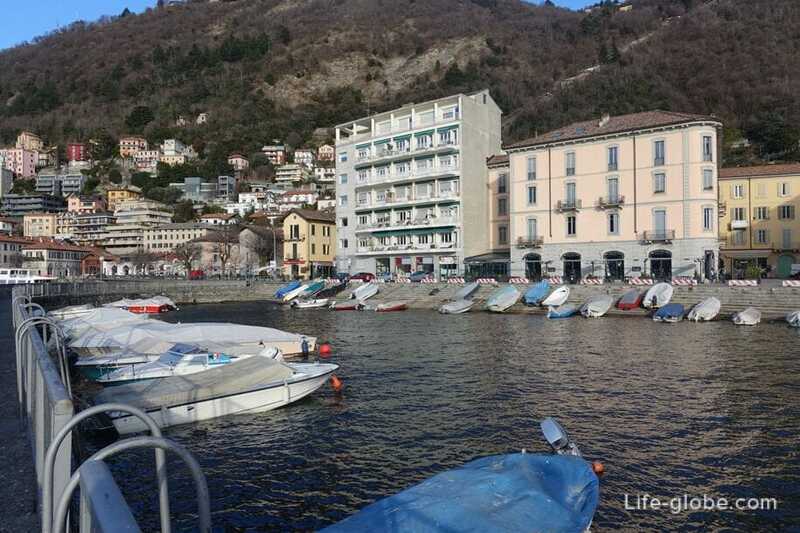 Also from Como, you can tour the lake by boat. 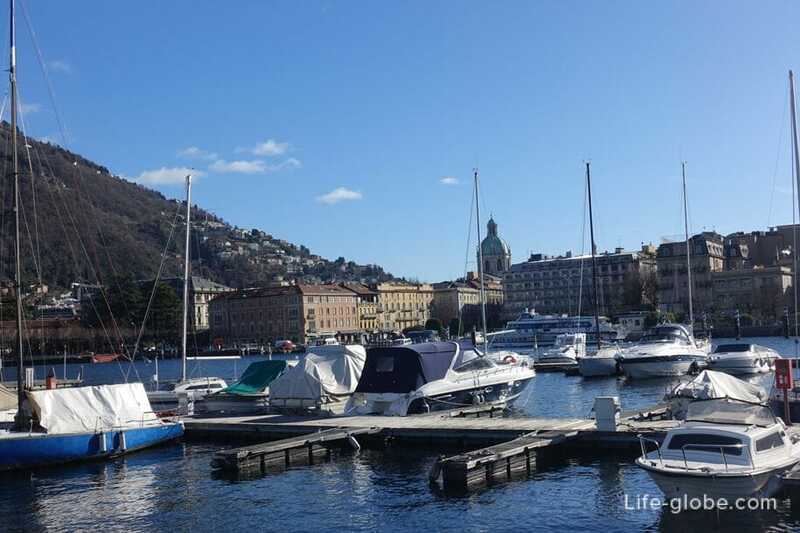 Though the ships sail at any time of the year, but still interesting and enjoyable to ride in the warmer months. 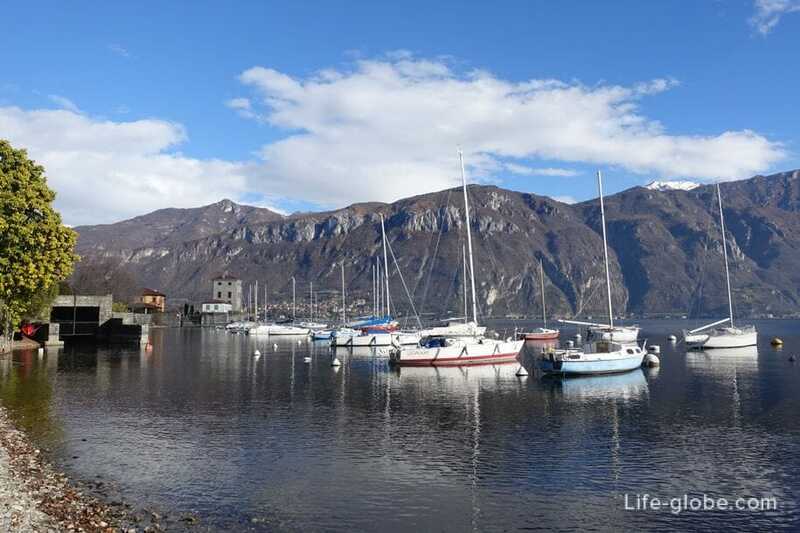 Walk from Como you can walk or take boat to nearby villages or towns. 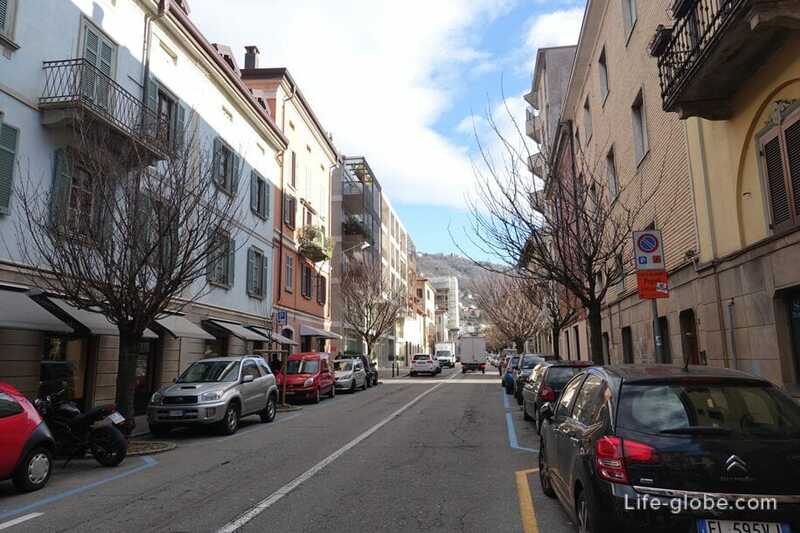 For example, Tavernola and Cernobbio. 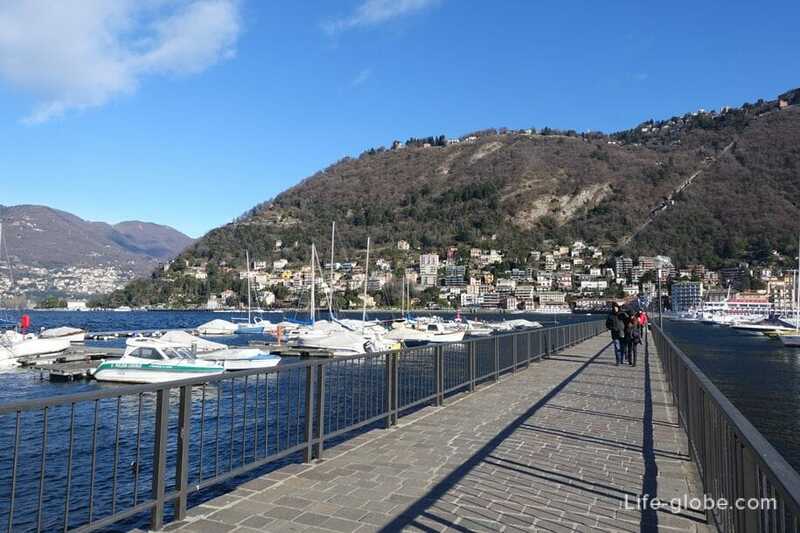 The choice of accommodation in Como is very large and diverse, here you can find accommodation for every taste and budget, from budget to 5-star hotels, apartments and guest houses, as on the first line, where the Windows will open views of the lake and the promenade and town centre. 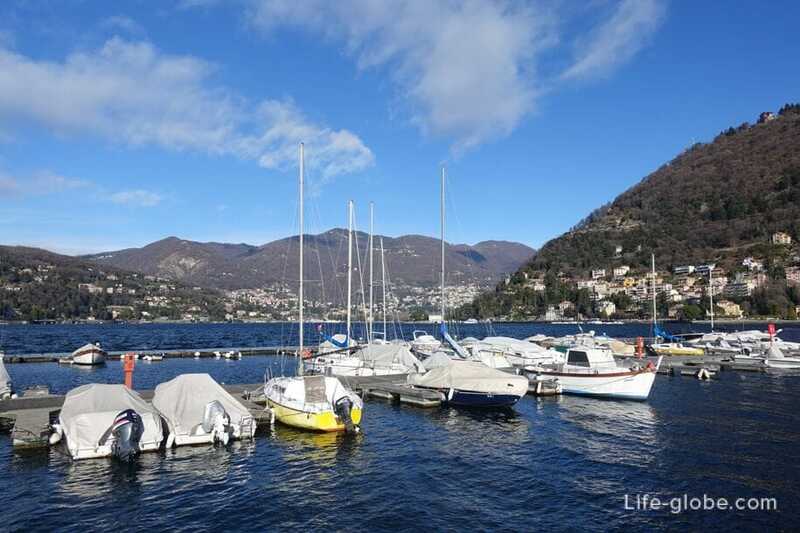 All accommodation in Como, from budget to luxury, you can view and book here. 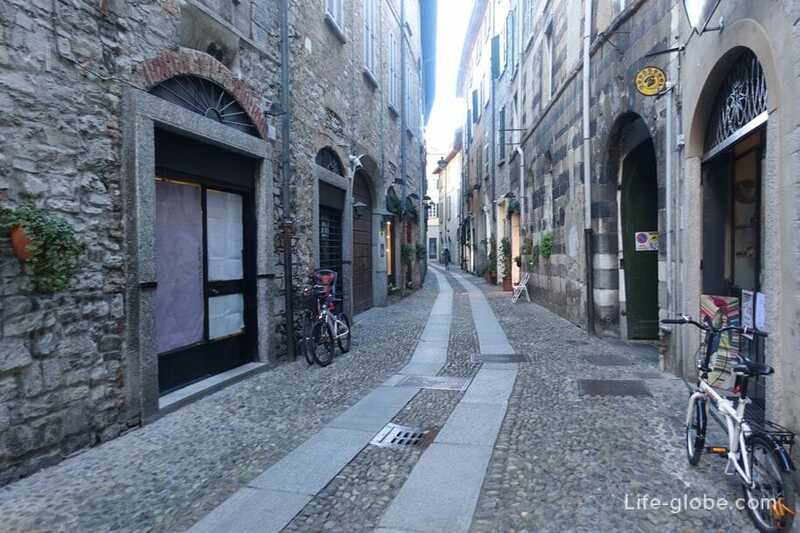 We stayed in the centre of the old town, in a small private hotel Storico with the included Breakfast.